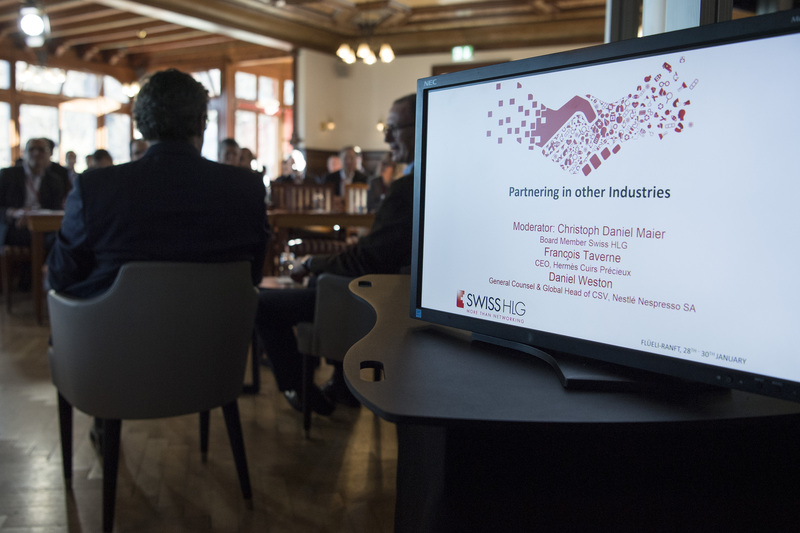 On the 24th of August 2001, a group of business and licensing executives united in Basel and founded the Swiss Pharma Licensing Group. 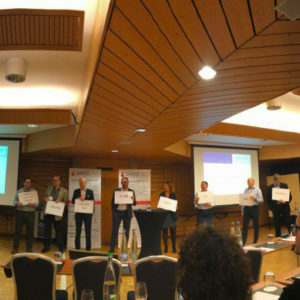 The first Board defined objectives, recruited members and set up the foundation for today’s association. 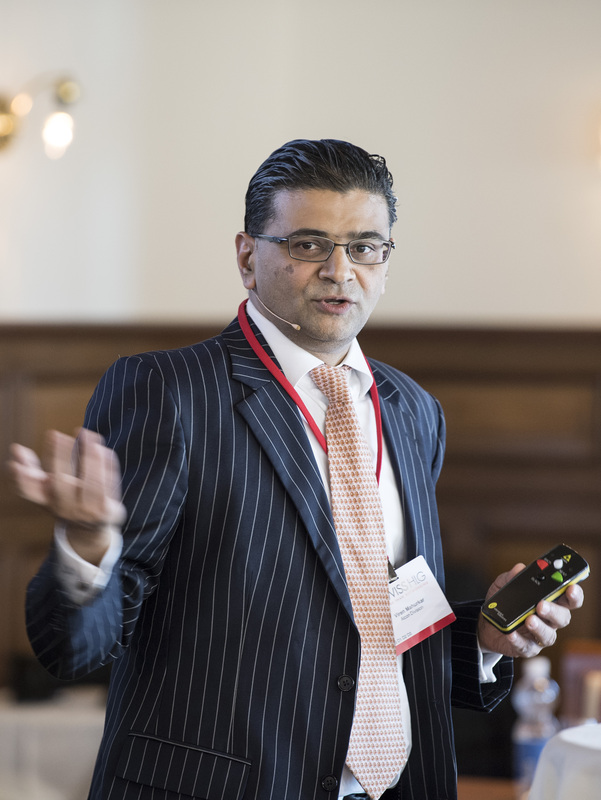 The pharmaceutical industry is facing increasing challenges to cope with the quickly changing world economy. 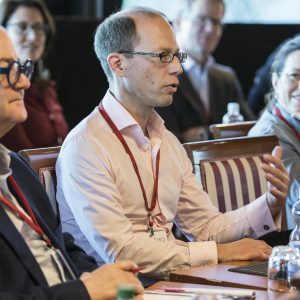 The requirements in healthcare are becoming ever more demanding considering the higher standard of data, financial investments and time, let alone governments` cost-containment measures getting more restrictive. 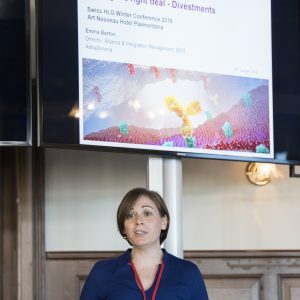 Both new and innovative molecules in the pipeline and growing access of patients to drug treatment especially in emerging markets are at the same time positive signals though. 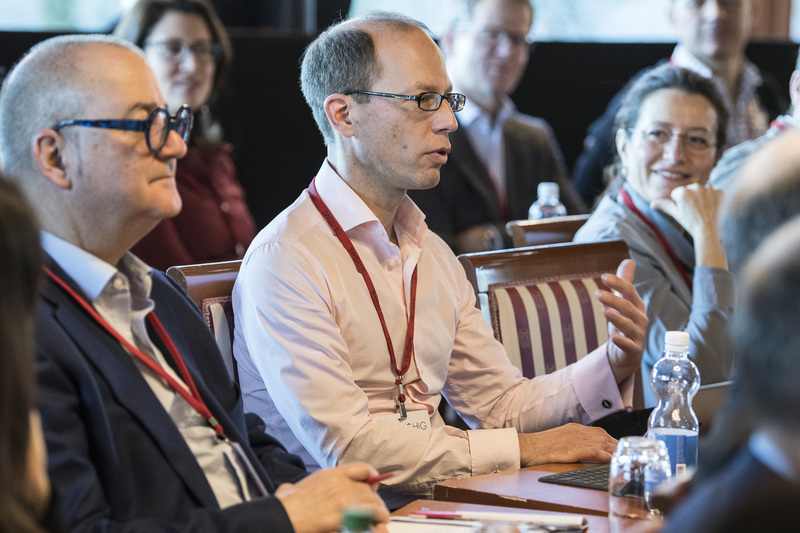 It seems that the pharmaceutical industry still finds room for creative ways to explore and implement new business models keeping pace with current changes in the healthcare environment. 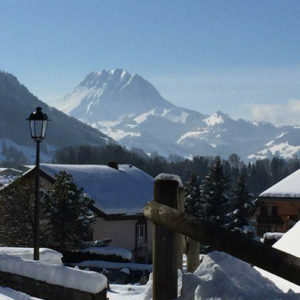 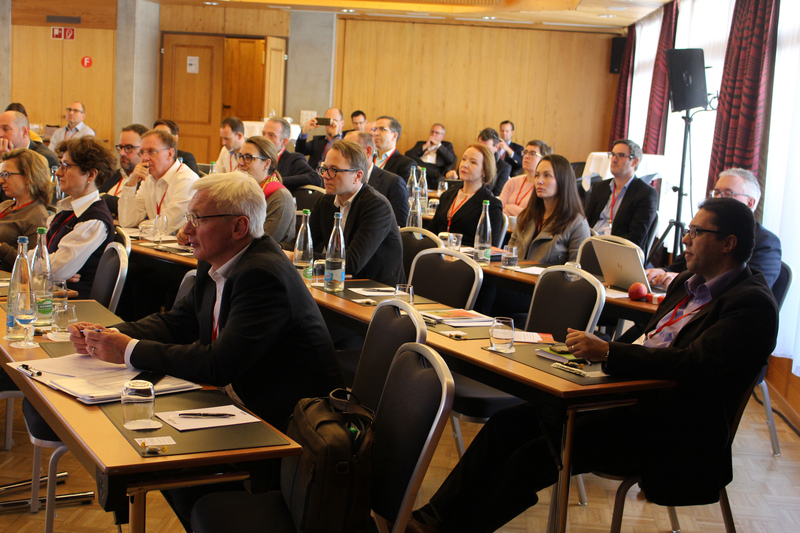 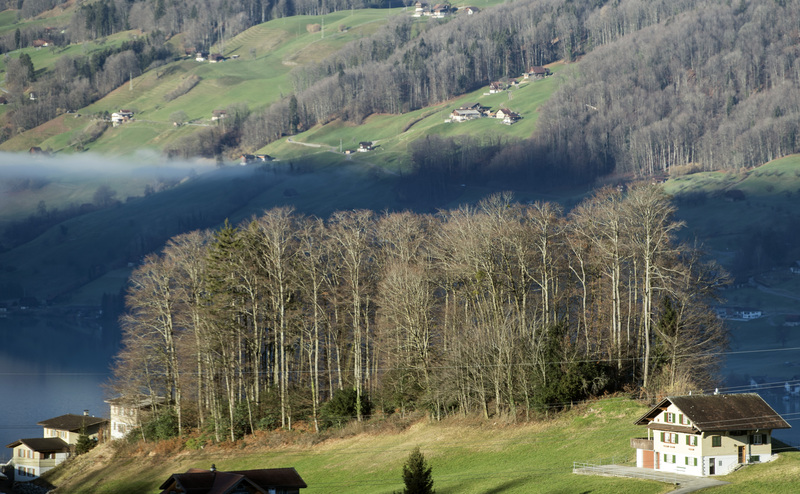 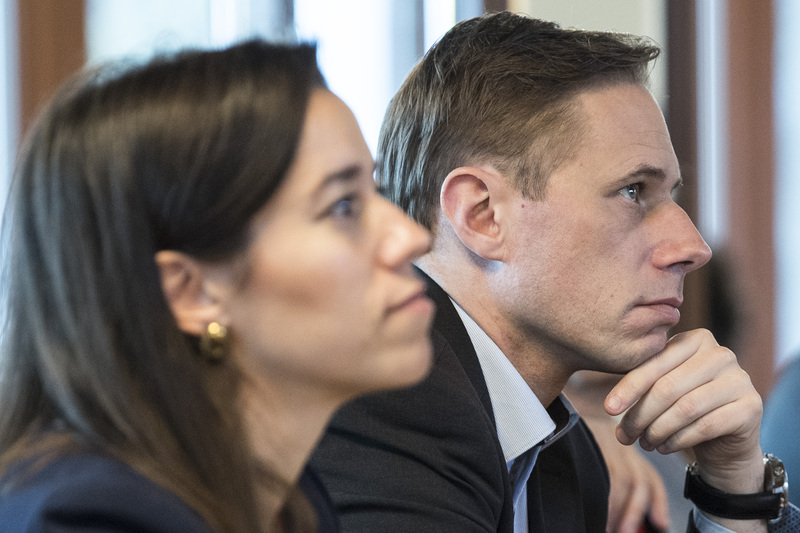 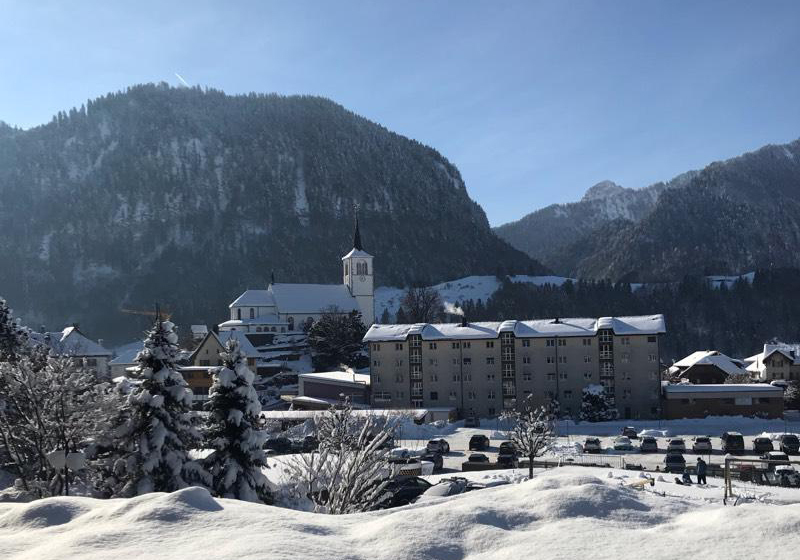 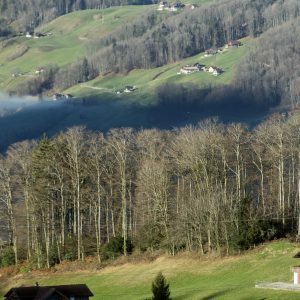 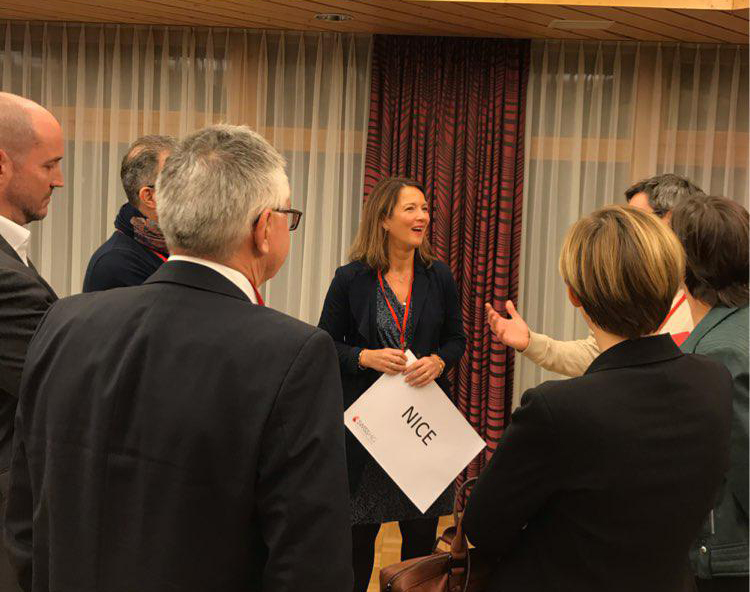 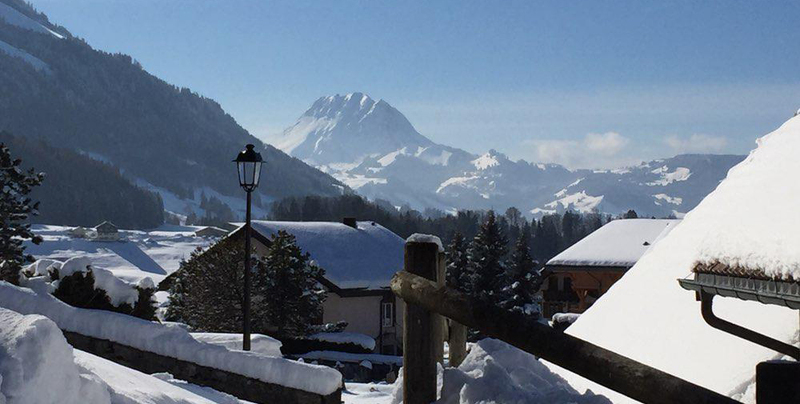 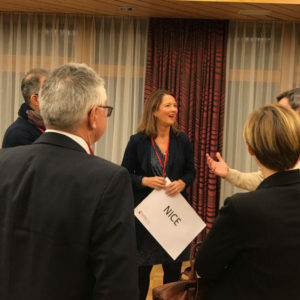 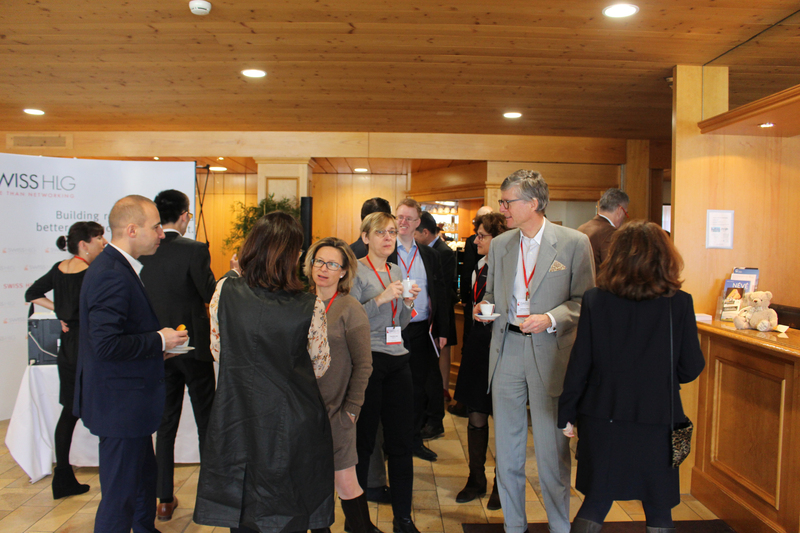 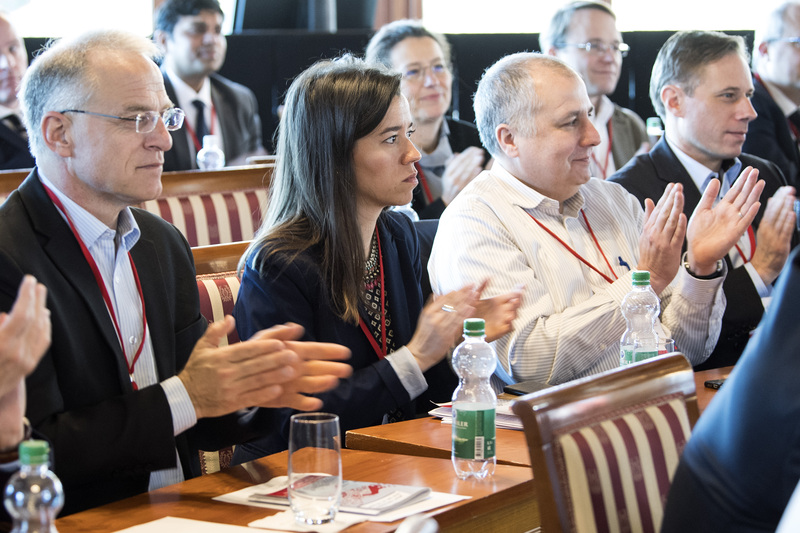 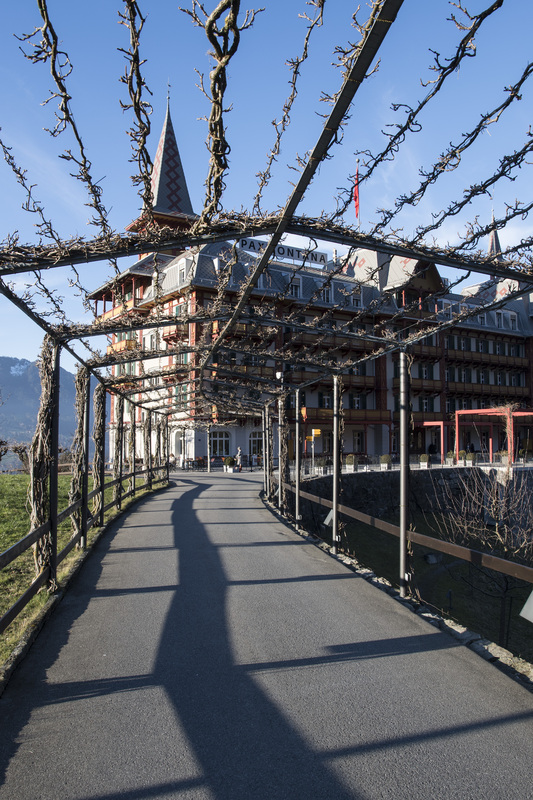 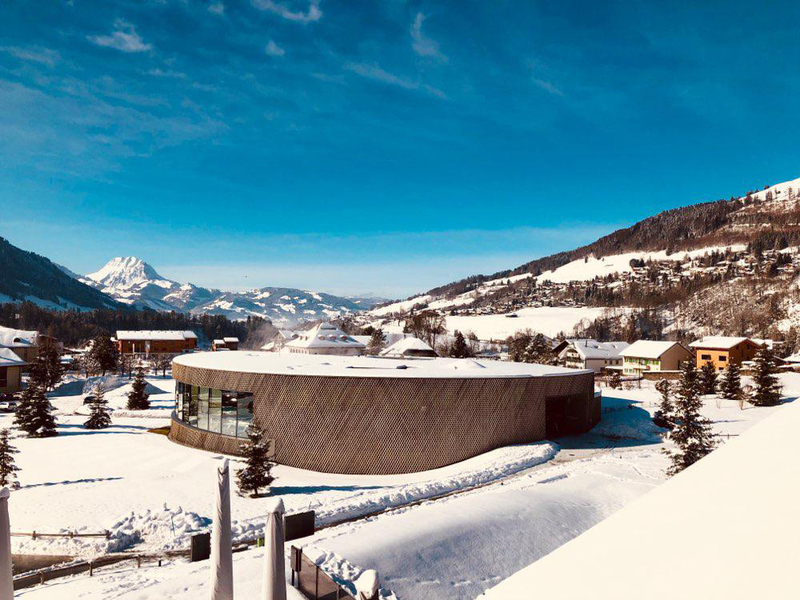 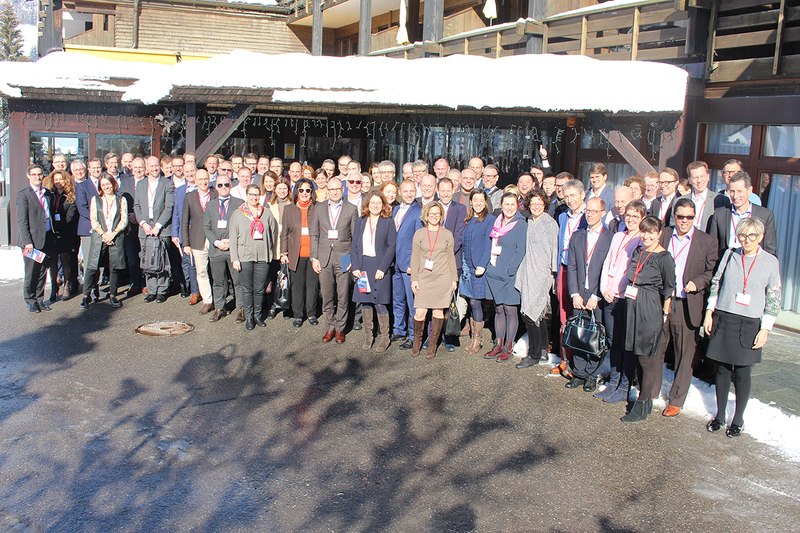 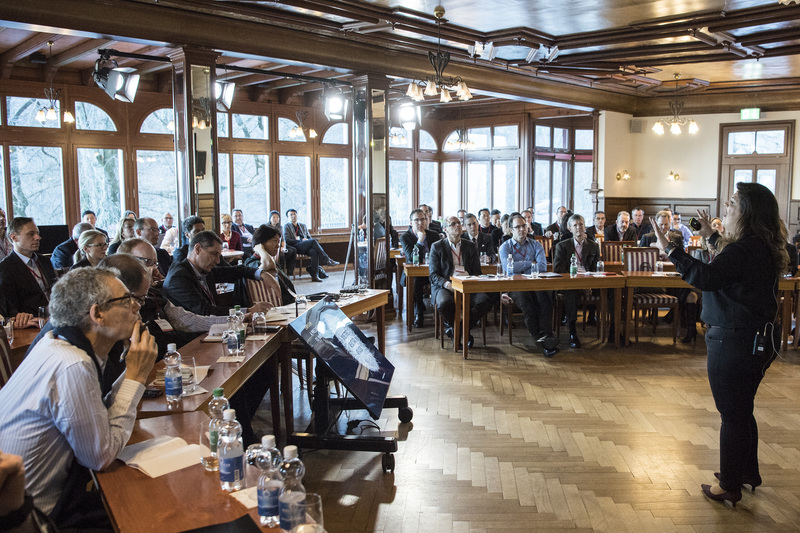 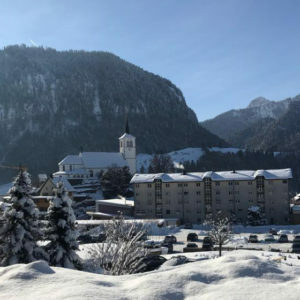 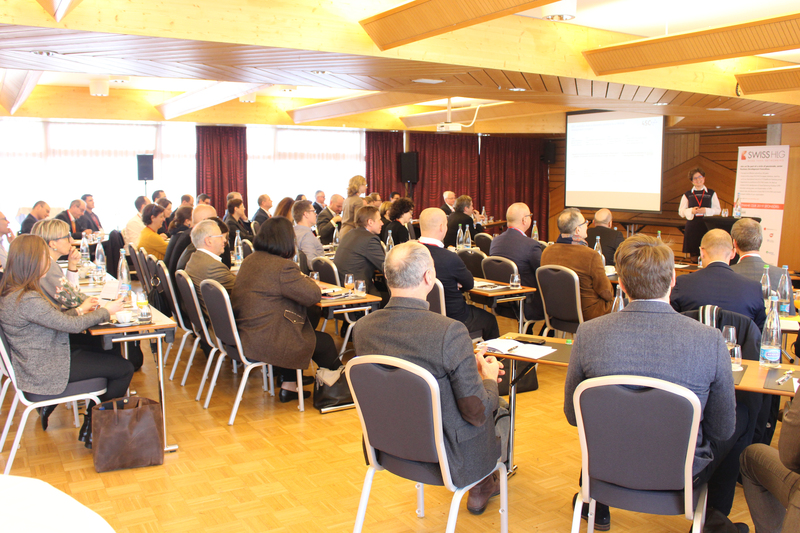 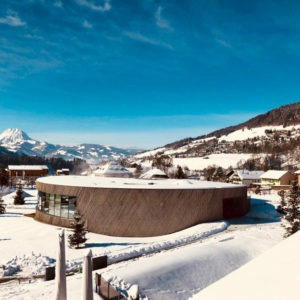 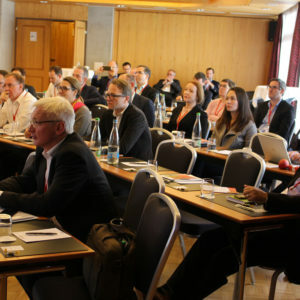 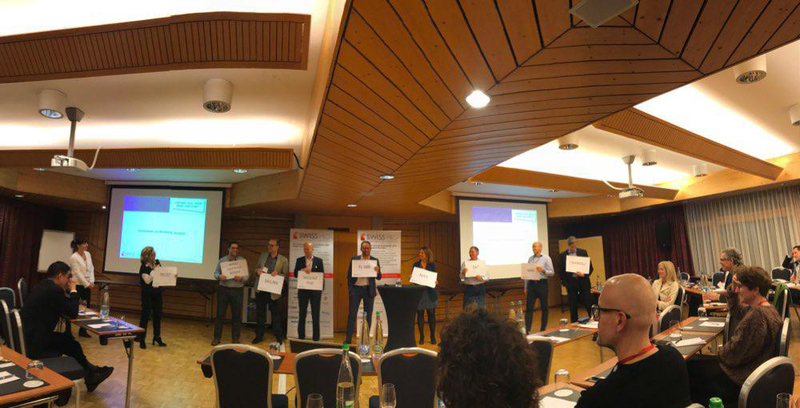 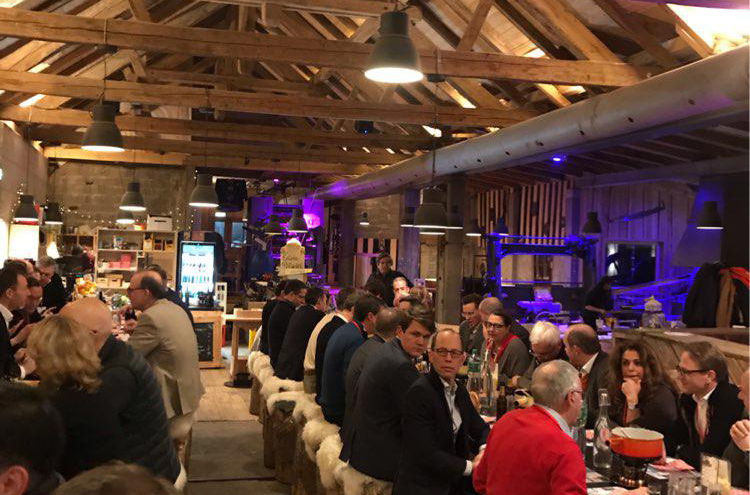 Over three days, nearly 100 delegates from Switzerland, Europe, the US and Asia gathered in the Gruyère region to explore current and future innovative ways when and how to capture maximum deal value. 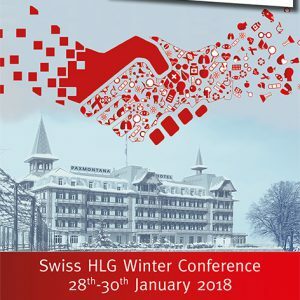 Conference Director, Ragip Ziyal with the active support of the entire Swiss HLG Board, gathered a global forum of high caliber speakers not only from the healthcare and consumer industry but also governmental initiatives to capture the maximum value for assets in the best manner and at the right time by (I) learning how synergies may be exploited for example during M&A transactions, (II) discussing the need for strategic access to new technologies and (III) looking at new players such as new public and public-private funding schemes as well as patient and non-profit organizations to support R&D funding. 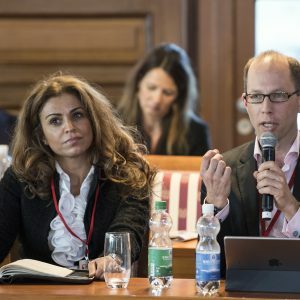 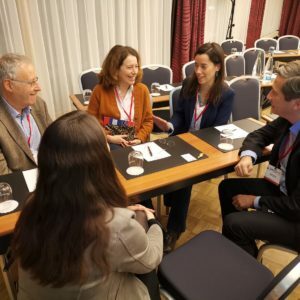 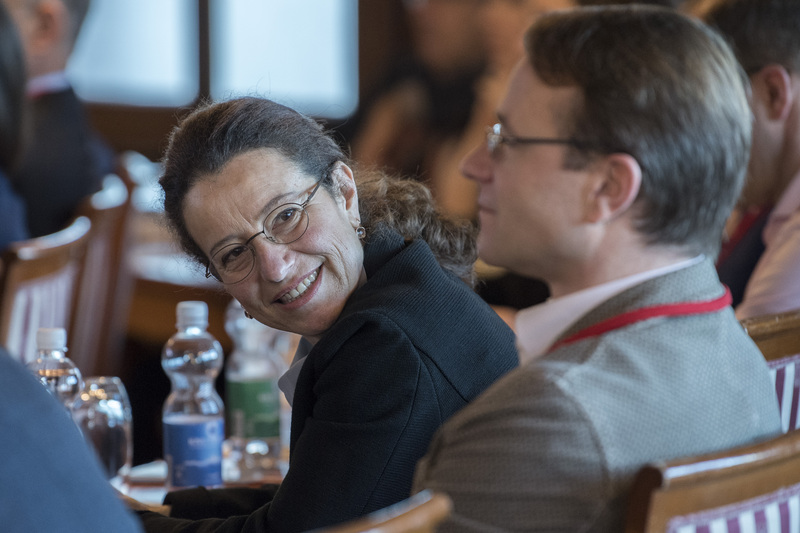 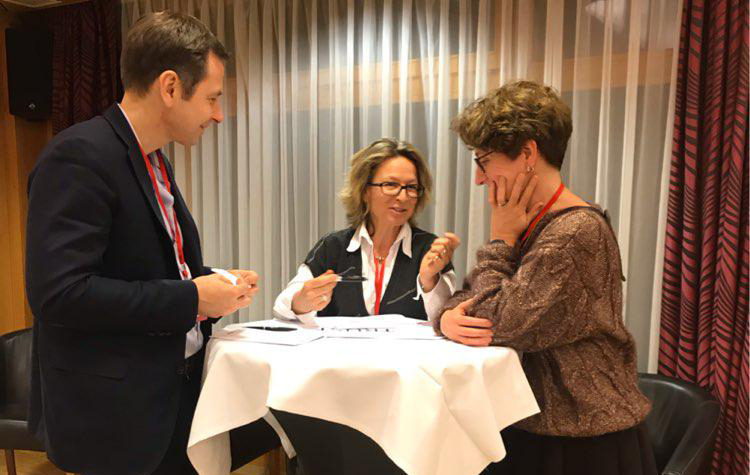 Prior to the start of the conference, Marie Petit, Villiger Valuation Expert, and Partner orchestrated an interactive workshop to understand “Value of Sciences vs. Value of Cash” and so to decrypt the reasons behind using rNPV or VC methodologies to value projects or biotech companies. 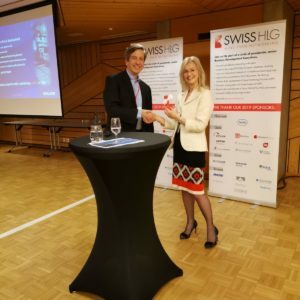 In her opening keynote, Allison Jeynes-Ellis, CEO Avillion LLP, excellently set the scene by providing an innovative model on how the drug development, as well as the commercial risk, can be shared whereby Avillion is funding the clinical programme and receiving returns upon regulatory success and providing off-balance relief to the pharma partner. 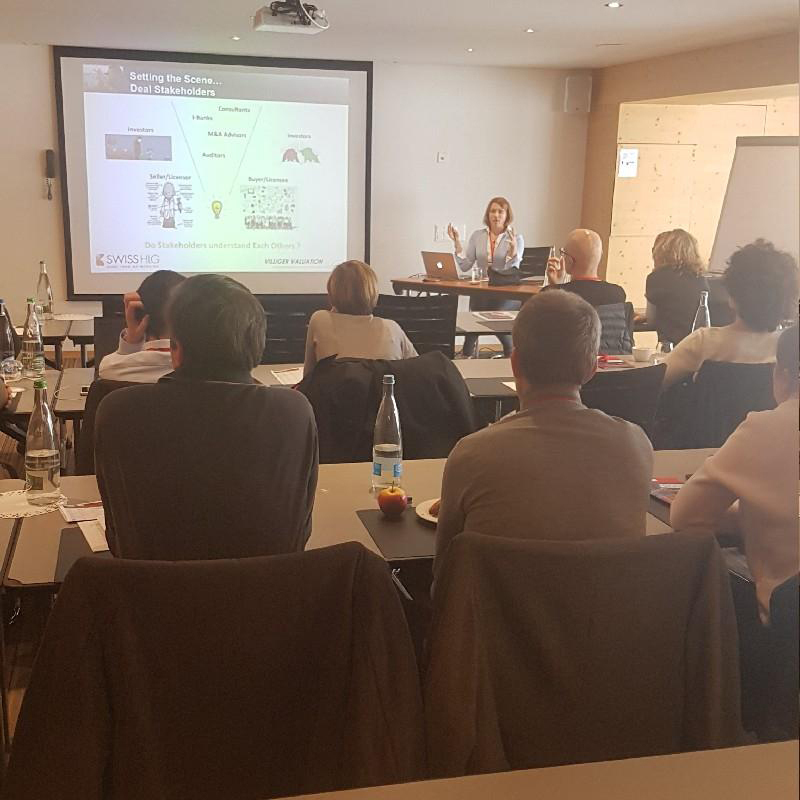 The second day started with four distinct speakers exploring how synergies may be exploited in the pharmaceutical industry. 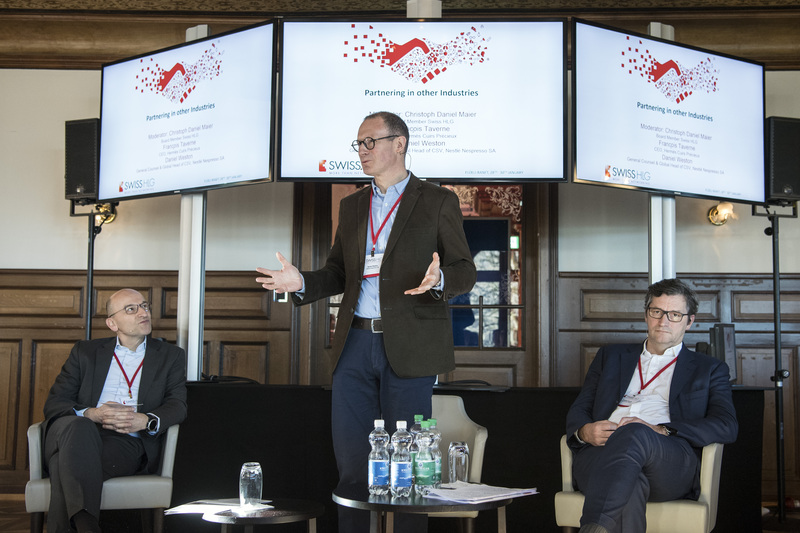 Thomas Hafen, CEO Bühlmann Labs outlined the opportunities but also challenges when capturing value with point-of-care diagnostics. 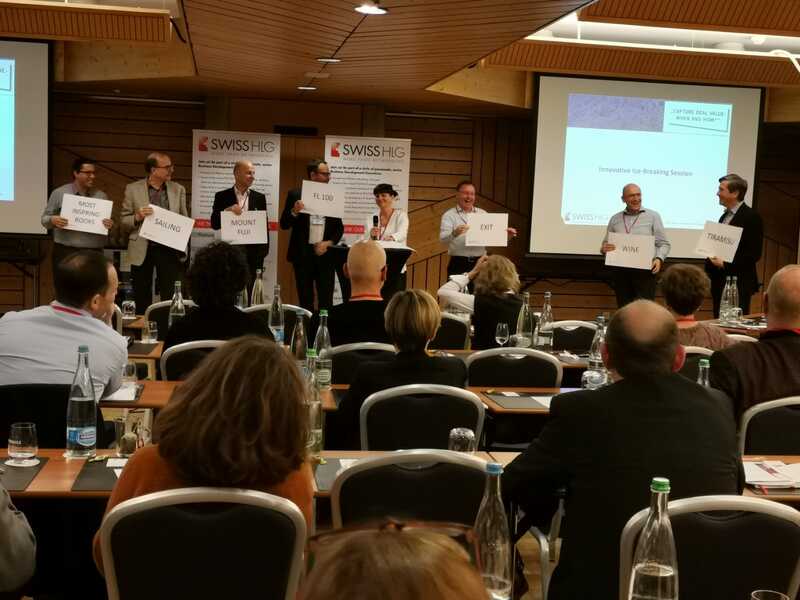 Tim Schlange, Chief Marketing Officer at Lohmann Therapy Systems (LTS), followed with a focus on leveraging synergies between pharma and CDMO through innovative transdermal/-mucosal delivery technologies. 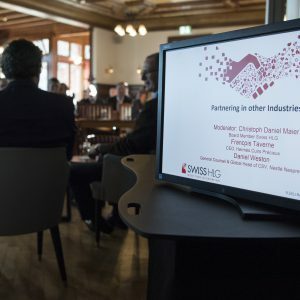 Dominique Doyen, Director Business Development at 4SC underlined how partnerships can result in a business model at biotech along with Jochen Hurlebaus, Head of Central R&D Services, Innovation & IP at Roche Diagnostics who rather concentrated on accessing new technologies and thus securing value by getting access to digital innovation. 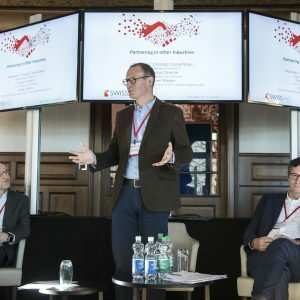 In a dynamic panel discussion, Ton Berkien, CBO at Nuevolution and former Head of M&A Emerging Markets at Takeda, Charles Hoare, Managing Director and Head of European Healthcare at Stiefel, Jordi Sabé, Founding Partner at Evolve Healthcare and former SVP Corporate Development at Almirall and Roberto Tracia, Partner at Oaklins Binder, all with a total of more than 80 years experience in international M&A transactions shared their view on synergies, which may be seen as one of the major motivators for M&A. 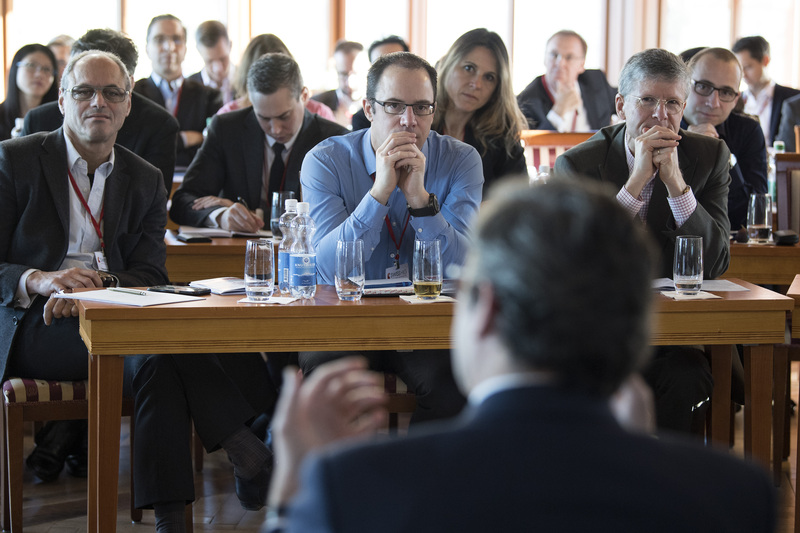 They also discussed key success factors and challenges during the integration of assets post-M&A. 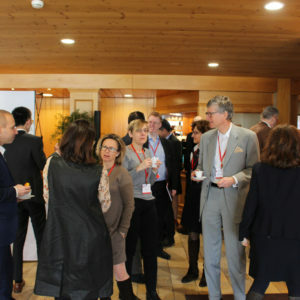 The topic capturing value through the strategic access to new technologies dominated the second half of the second day. 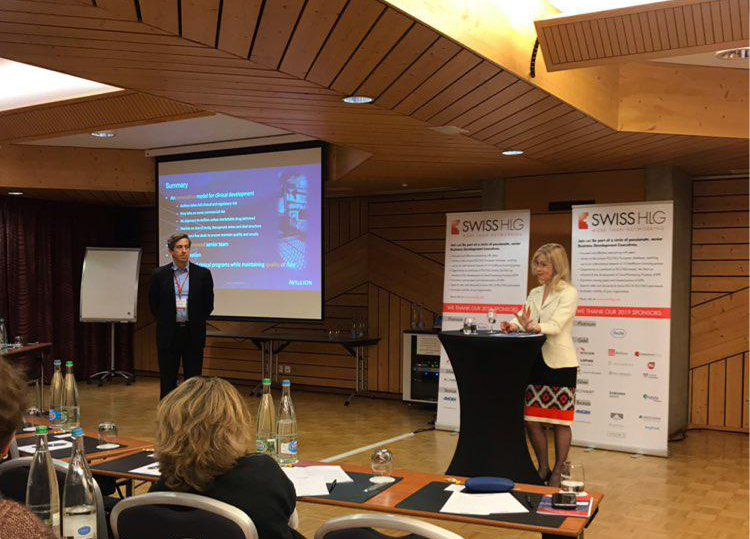 Sascha Bucher, VP and Head of Global Transactions at Roivant Sciences highlighted Roivant`s ecosystem built on entrepreneurial biotech companies, the so-called Vants, a unique approach to source talents and to deploy technology to strive for efficient R&D and commercialization. 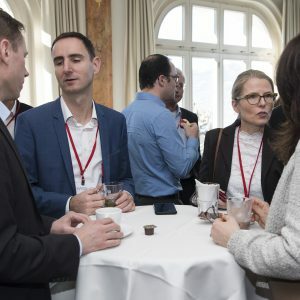 Matthias Essenpreis, CTO at Roche Diagnostics described the dependency on external innovation, Roche Diagnostics being as the global leader in in vitro diagnostics and how dedicated processes were established to cope with this very challenge. 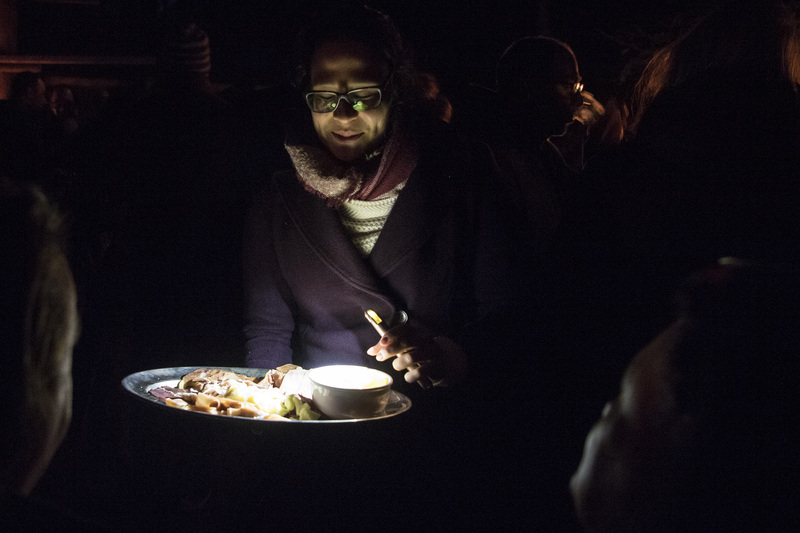 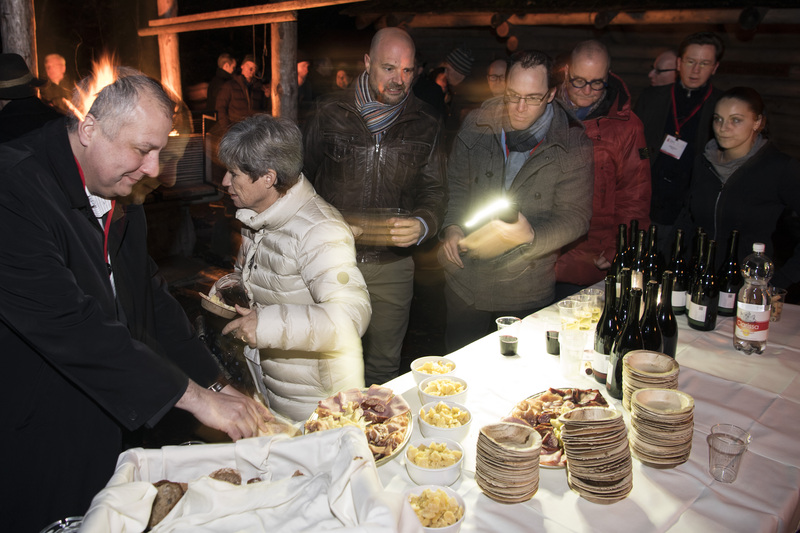 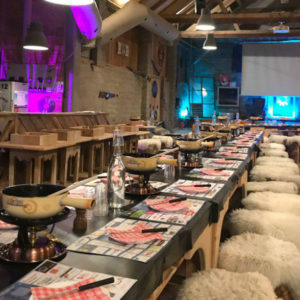 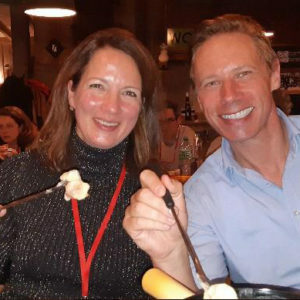 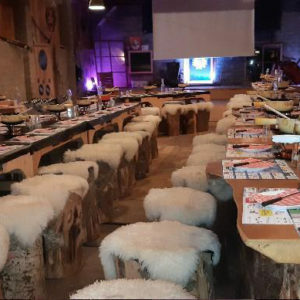 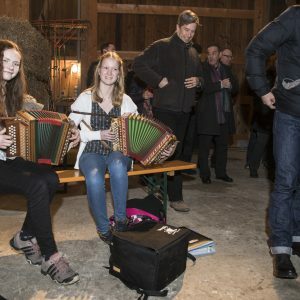 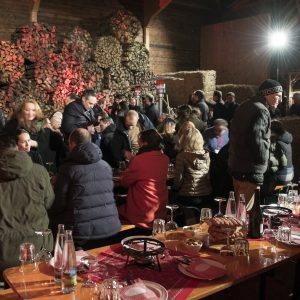 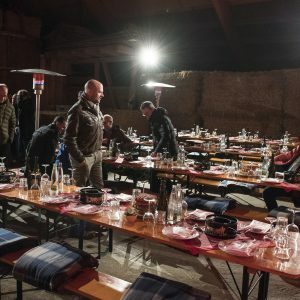 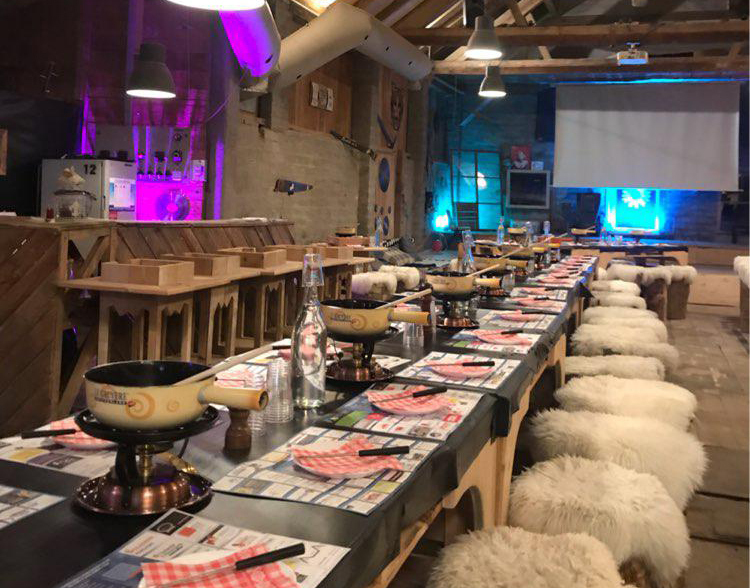 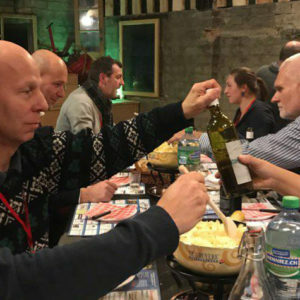 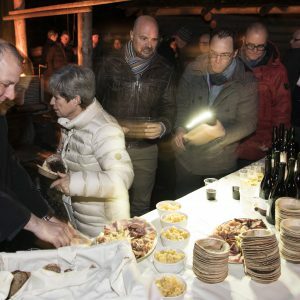 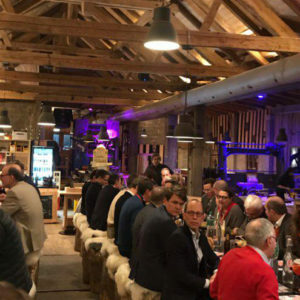 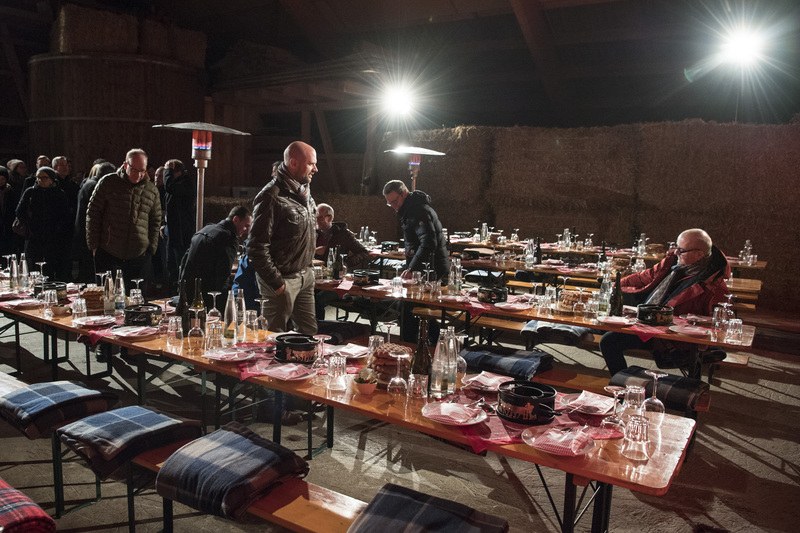 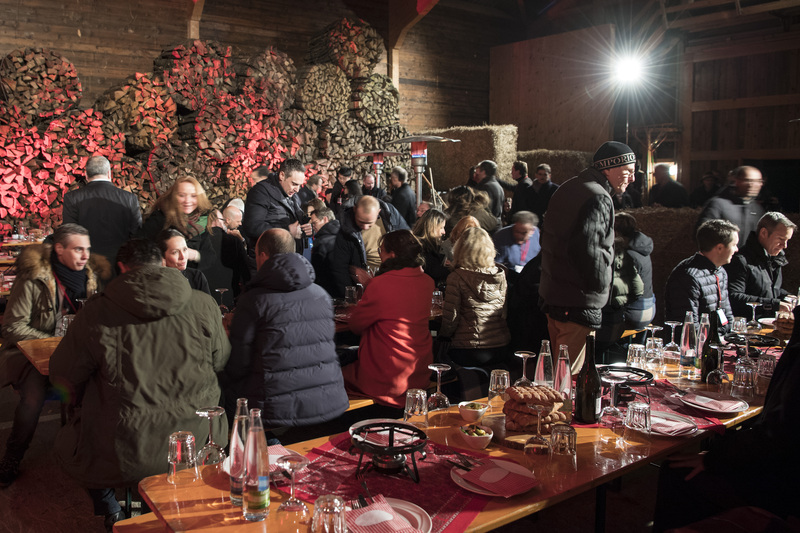 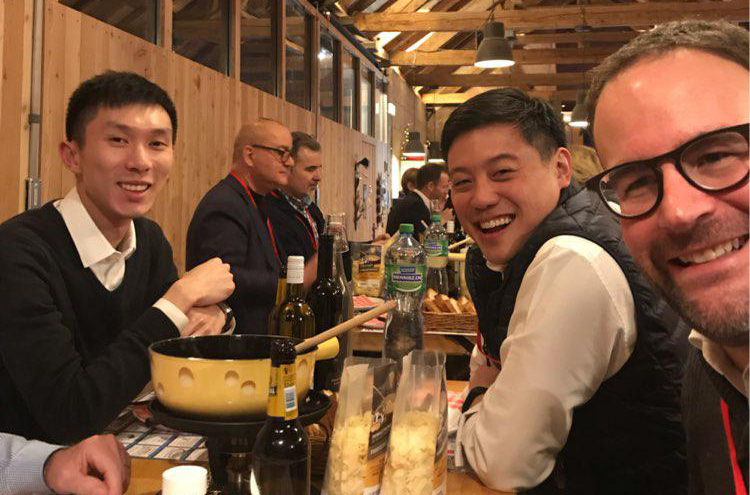 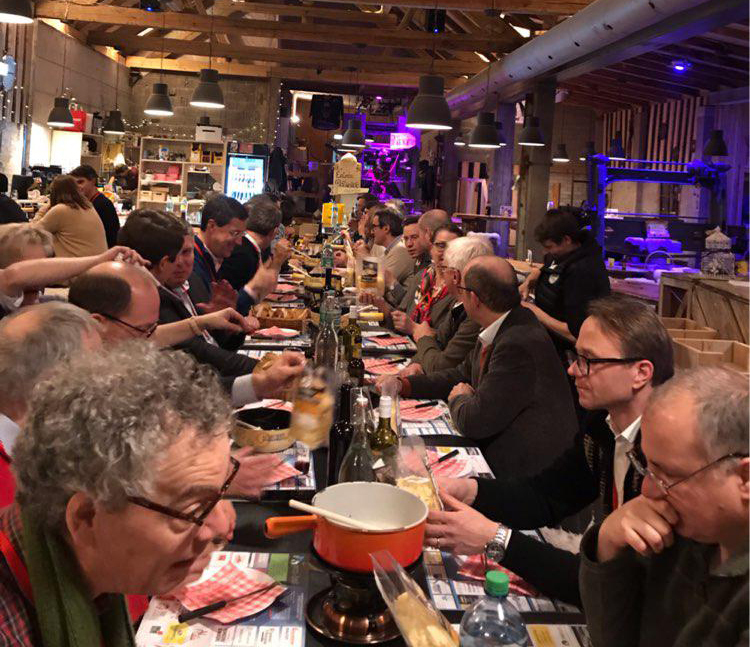 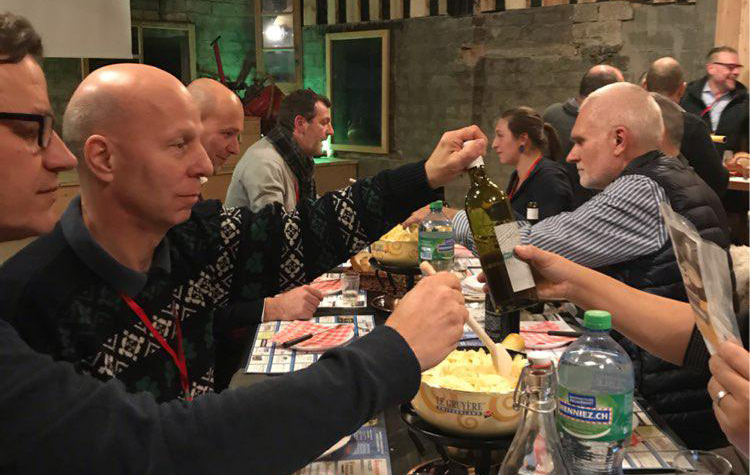 After a full day of inspiring presentations and the panel discussion, the delegates enjoyed a typical Swiss Fondue Dinner in an authentic Swiss barn nearby. 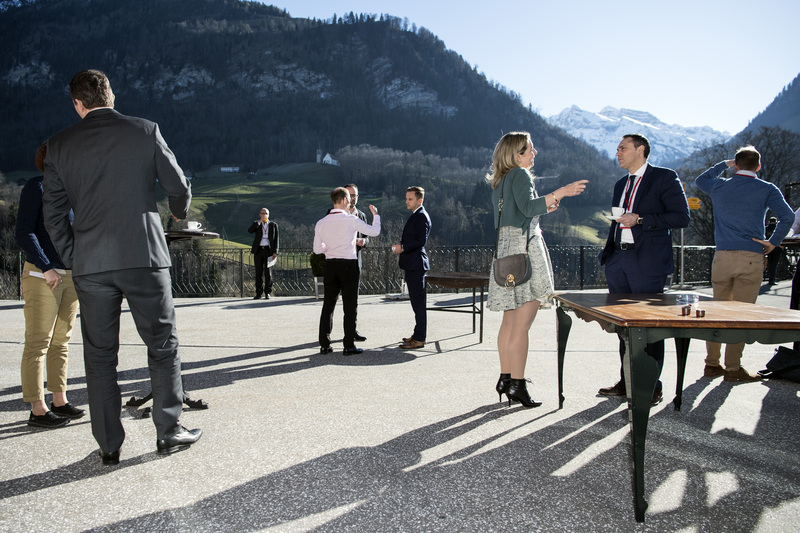 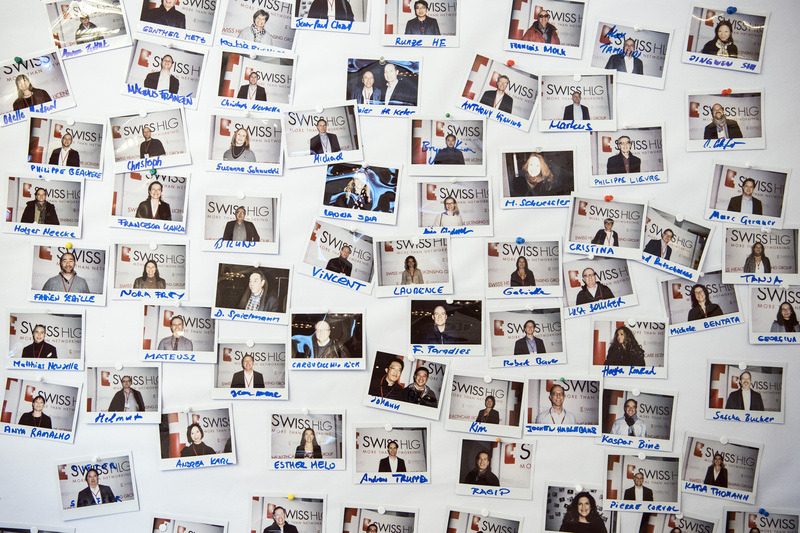 It was a perfect setting to network with peers and exchange personal and professional experiences. 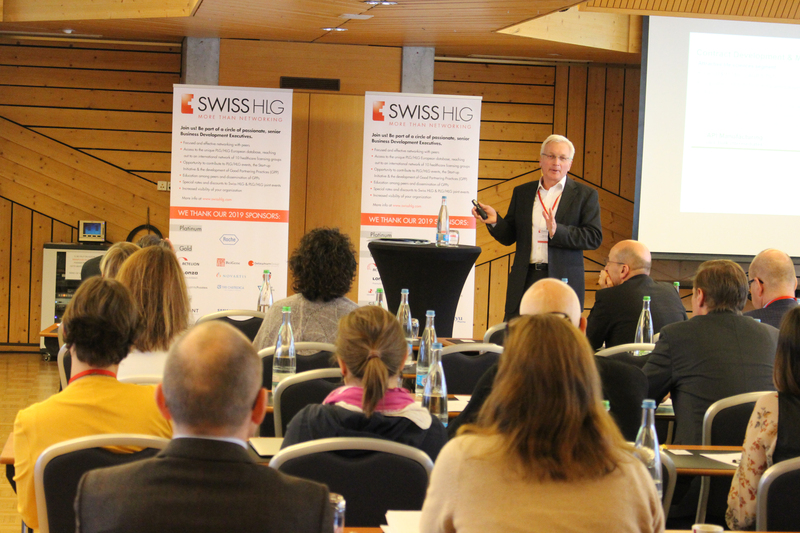 The last day of the conference focused on innovative financing in the pharmaceutical industry, starting with David Hughes, Senior Global Programme Head at Novartis` Anti-Infectives Global Health Development Unit. 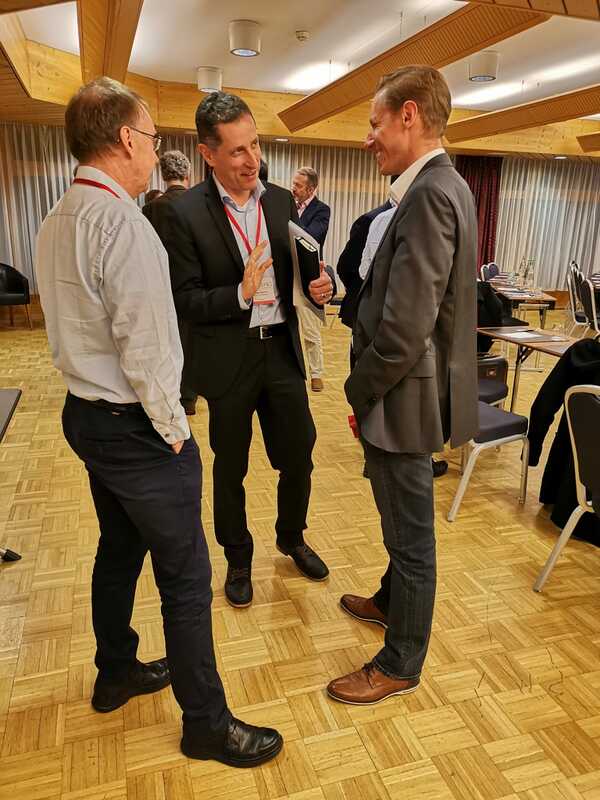 David gave an overview of publicly-funded models like EU`s Innovative Medicines Initiative (IMI) or US Government`s Biomedical Advanced R&D Authority (BARDA) established to close gaps in some key disease areas targeting anti-microbial resistance and neglected tropical diseases. 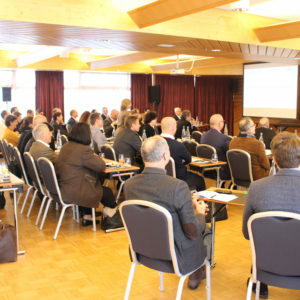 Marc Gitzinger, CEO at Bioversys focused in his speech on financing and deal-making in the antibiotic market, which seems a broken economic model where initiatives established both the so-called “Push” funding and “Pull” mechanisms to fix the economic model for novel antibiotics. 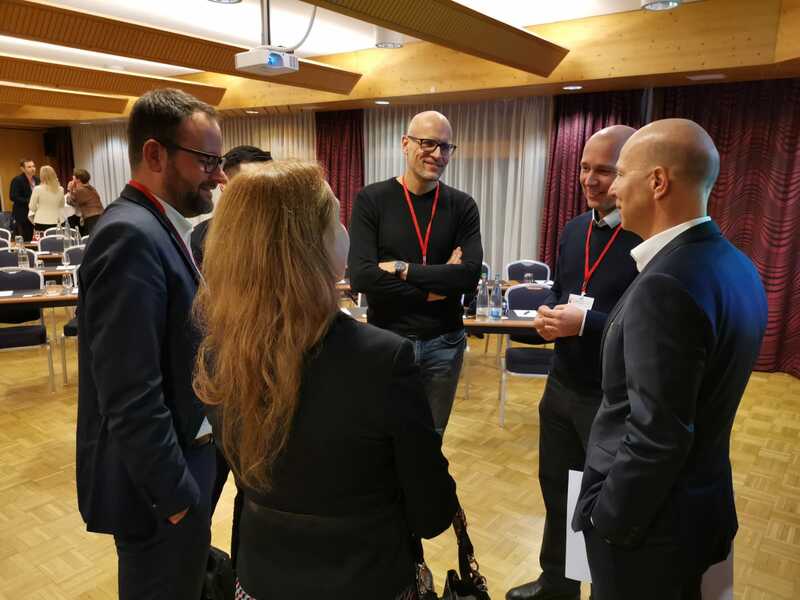 Finally, Stefan Fischer, National Contact Point (NCP) at Euresearch stressed the importance of public bottom-up funding like the Horizon 2020 financing opportunities for innovative SMEs with game-changing and market-creating innovations and technologies. 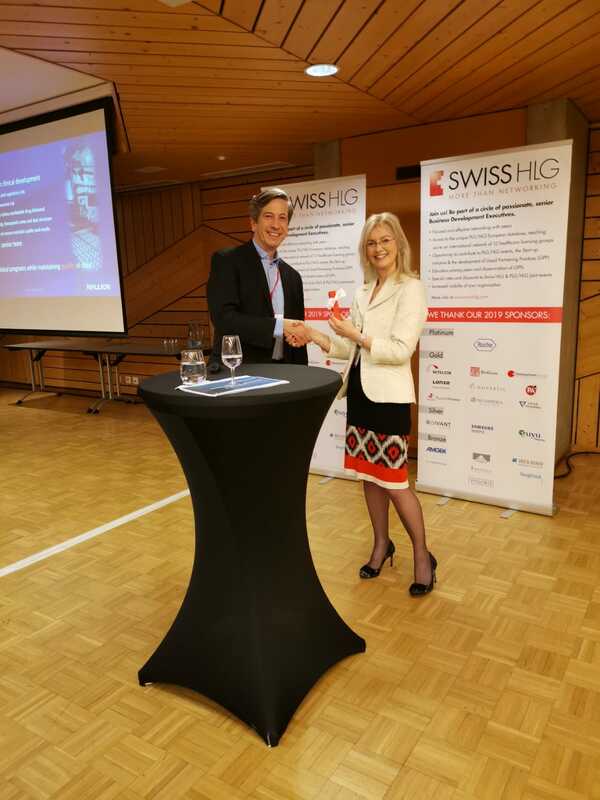 The outstanding closing keynote, delivered by Ernst Hafen, Professor of Systems Genetics at ETH Zurich and the President of the Biopark Zurich-Schlieren, the value of citizen-controlled health data. 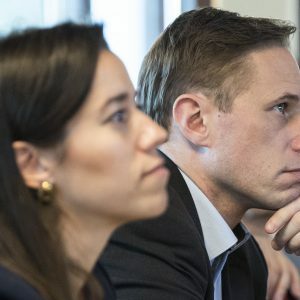 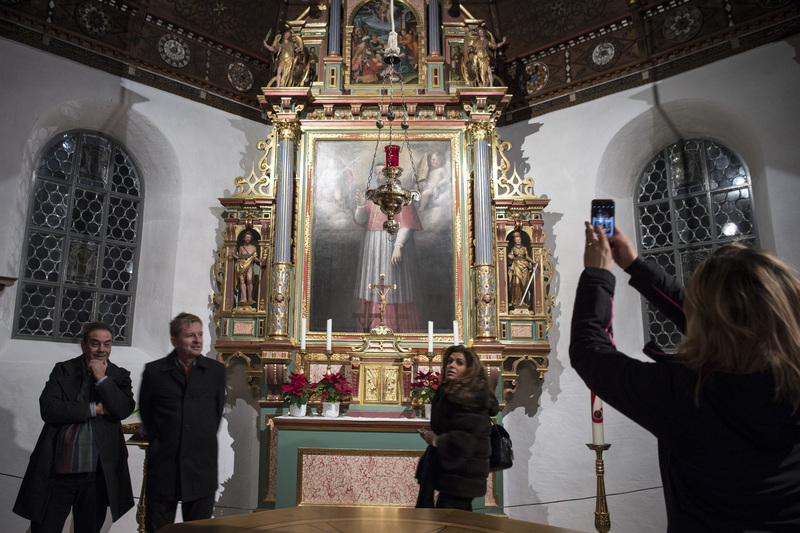 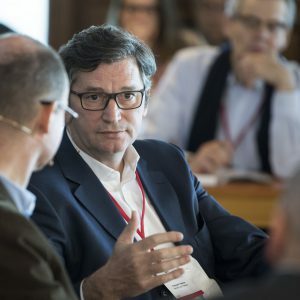 Ernst thereby underlined that we have to regain control over our data thus our digital self-determination and reduce our dependency on multinational data companies, which may determine our faith in the future. 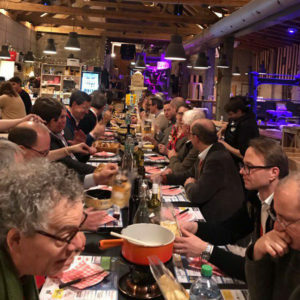 The EPLC, together with this years’ hosts the PLCF, are pleased to welcome you to the romantic city of Paris for the XV IPLS from 18th – 20th September 2019. 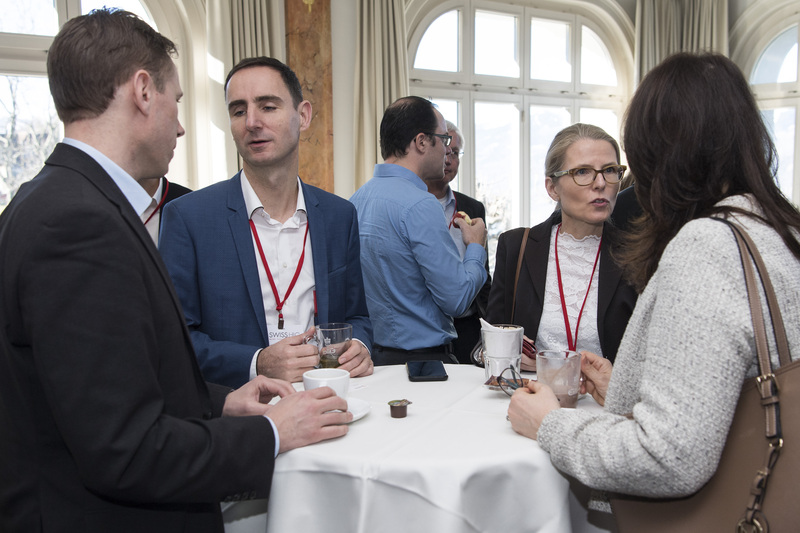 The IPLS event is a great opportunity for the healthcare deal-making community to come together to learn, discuss, network and partner. 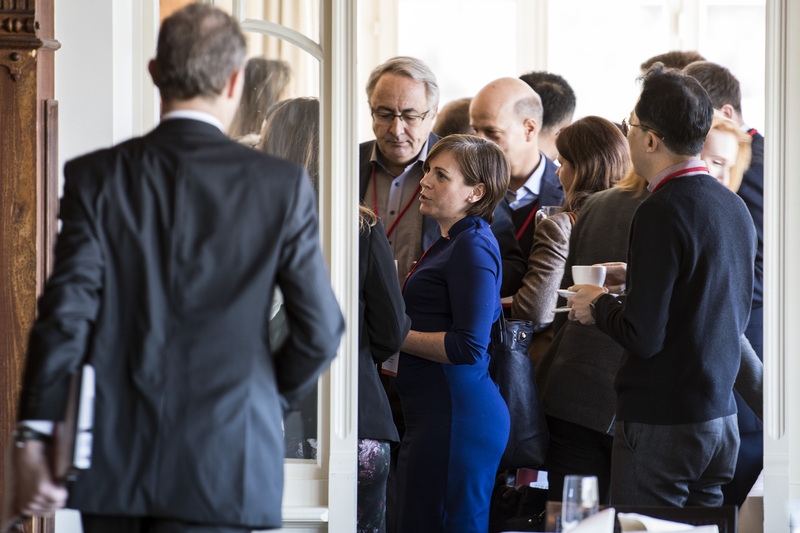 designed to explore some of the more disruptive influences and opportunities in the life science industry today. 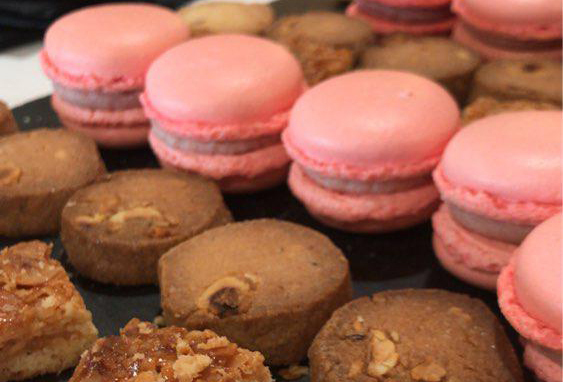 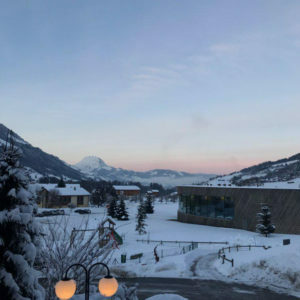 Early Booking Rate available until 26th April 2019! 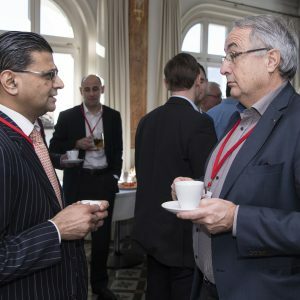 Two days of informative presentations from industry leading speakers, peer to peer networking, one-to-one meeting opportunities and continuous personal development, all in the world’s most popular and dynamic city, Paris. 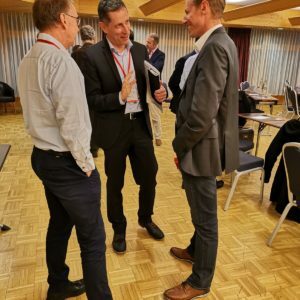 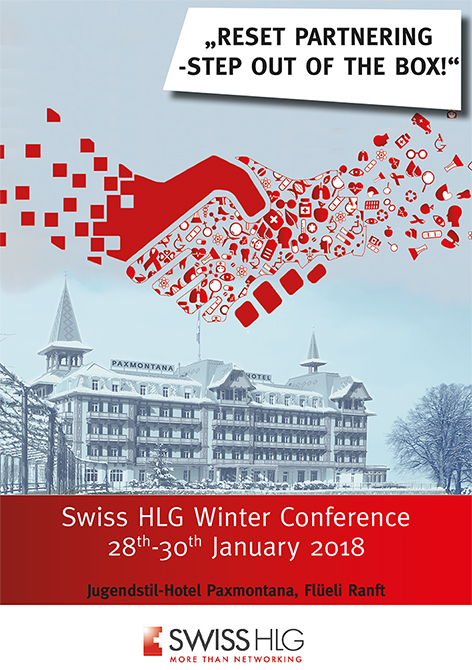 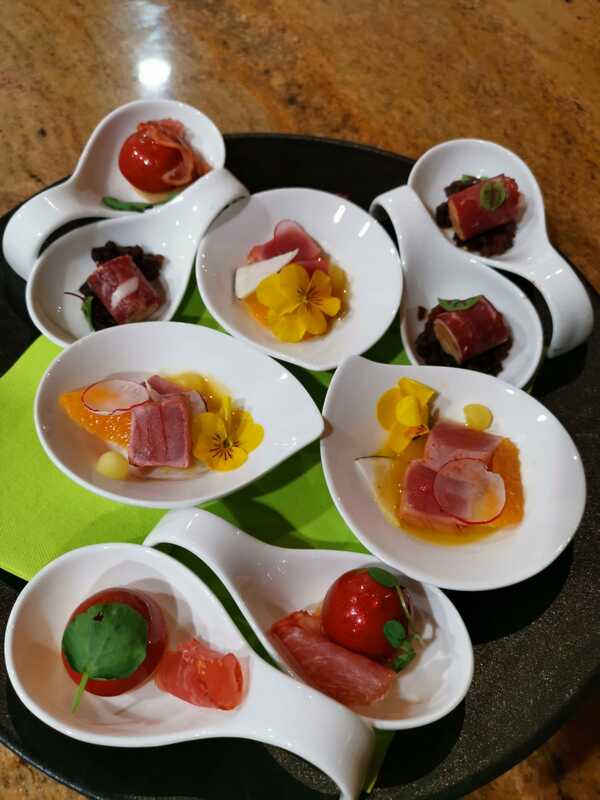 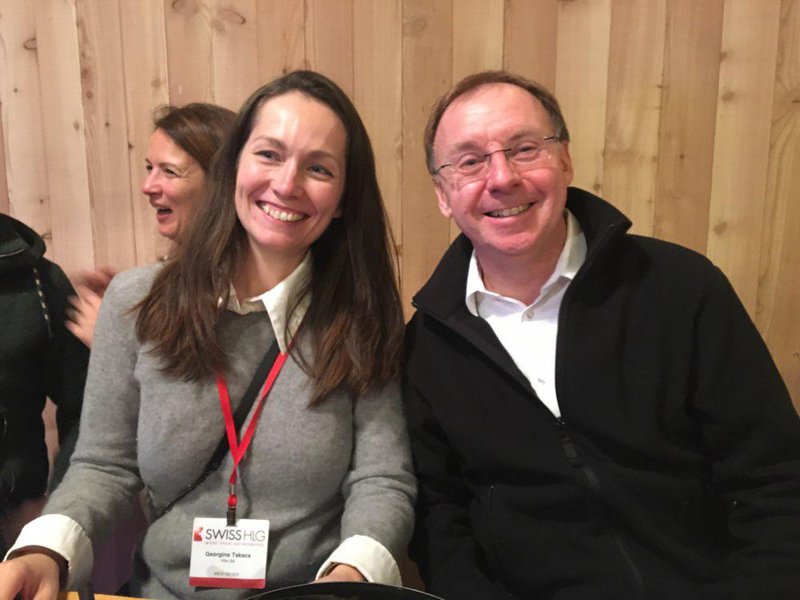 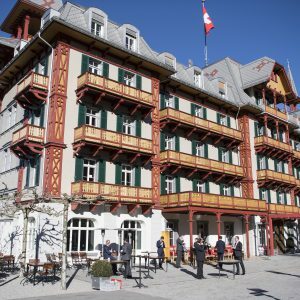 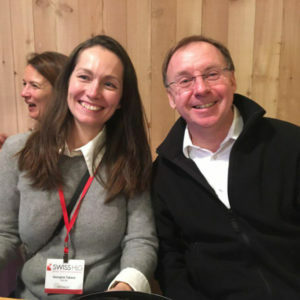 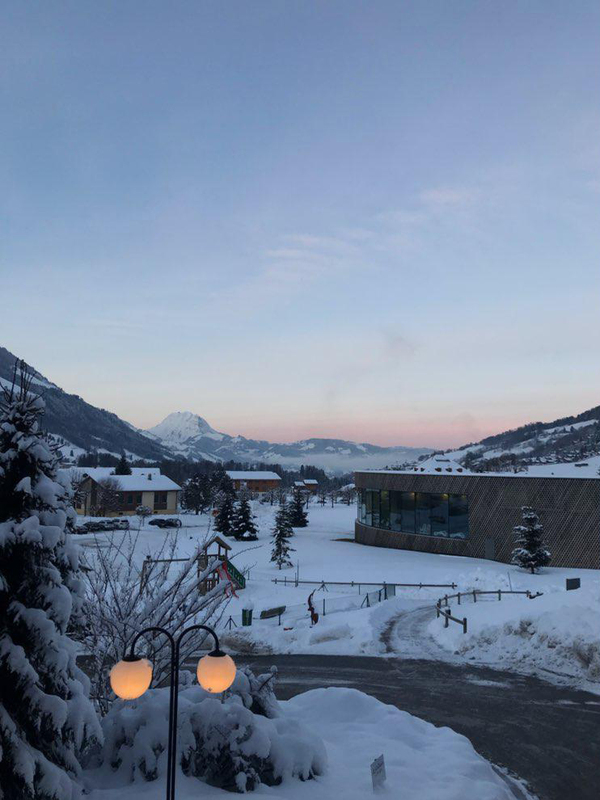 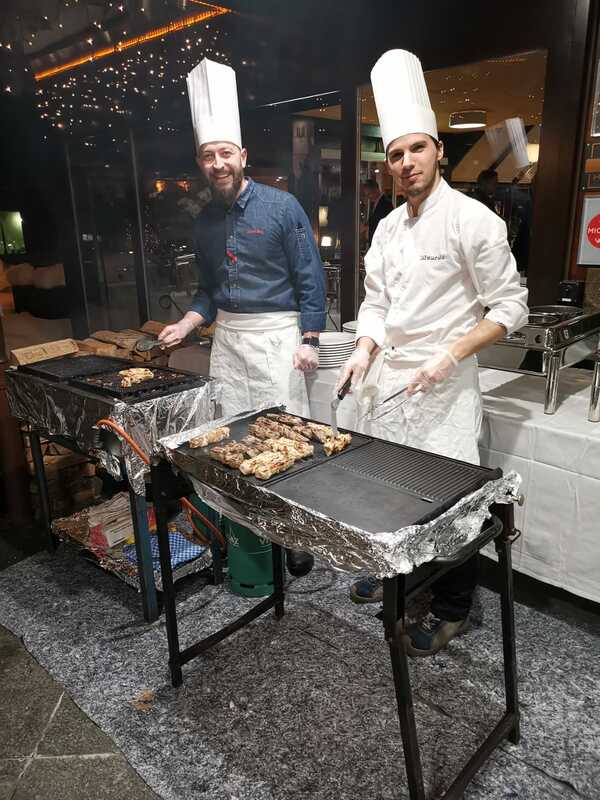 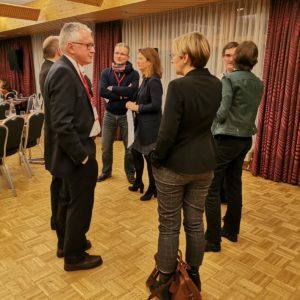 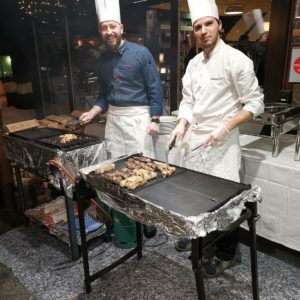 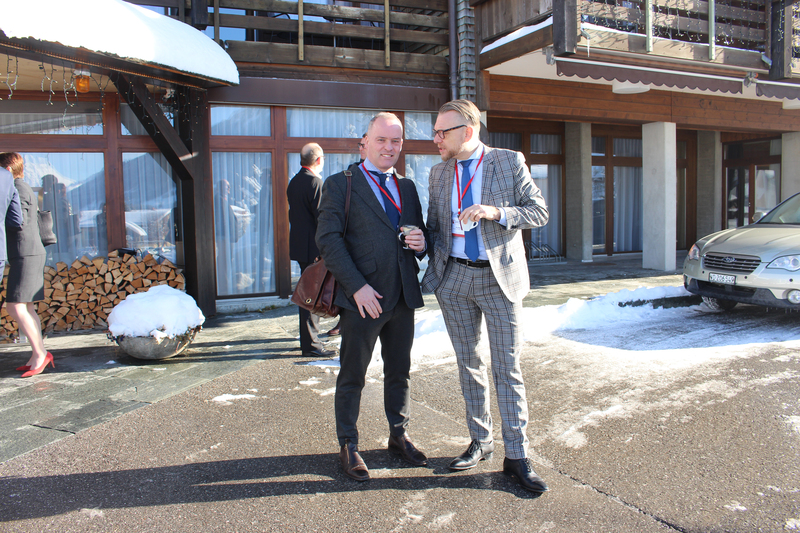 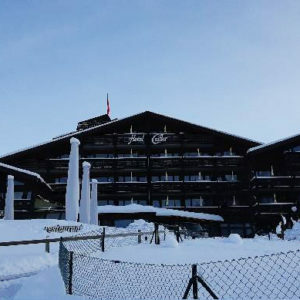 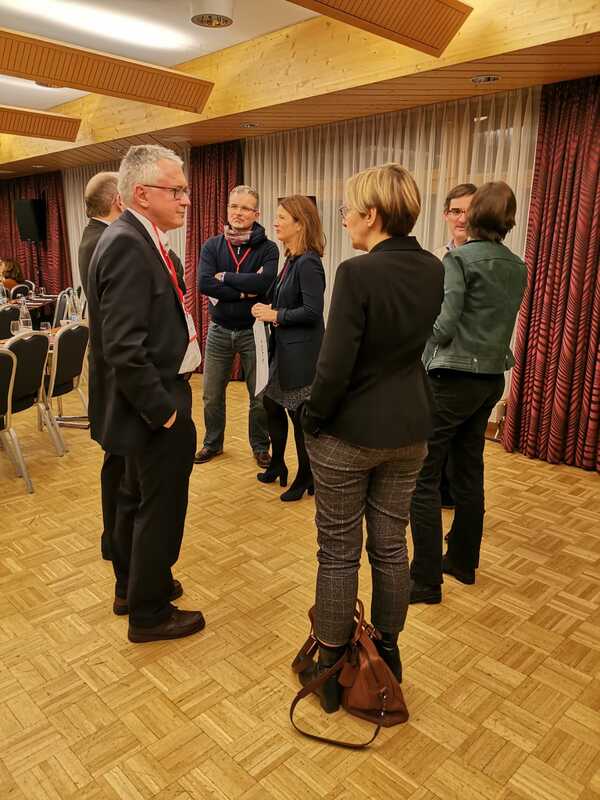 Swiss Healthcare Licensing Group 2018 Winter Conference – another fantastic success! 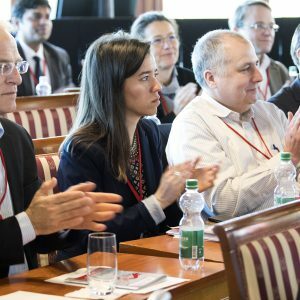 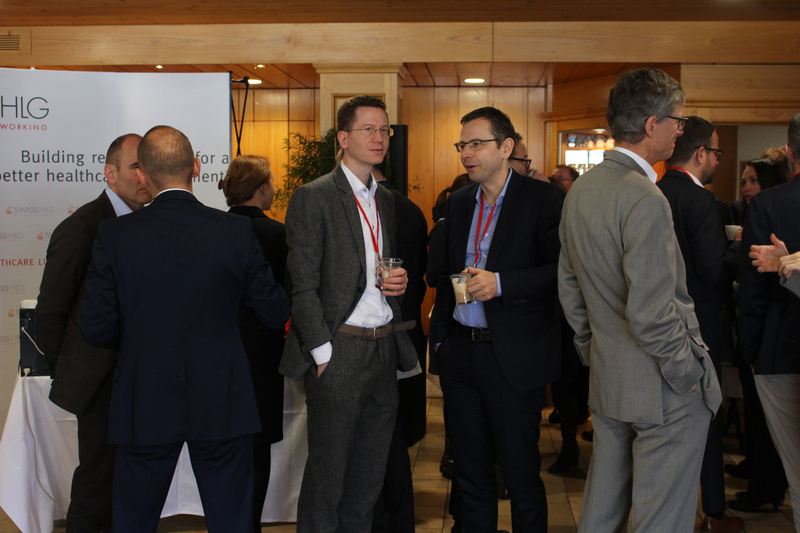 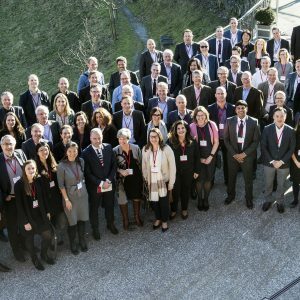 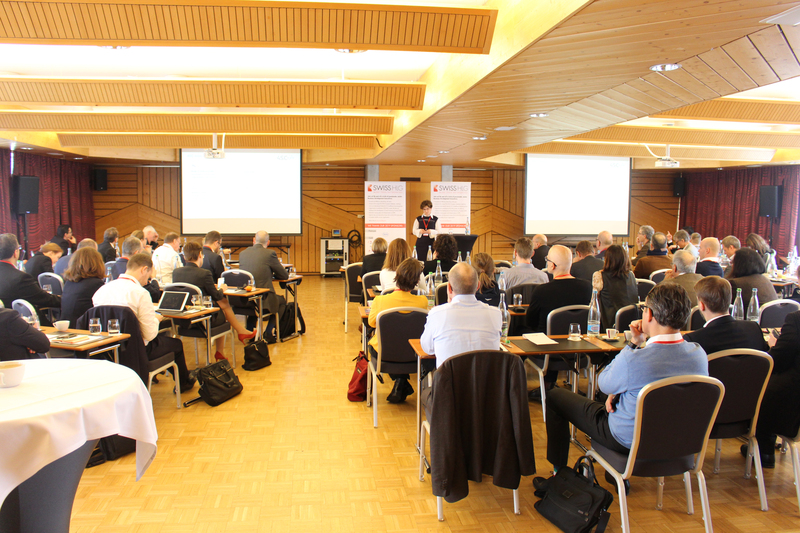 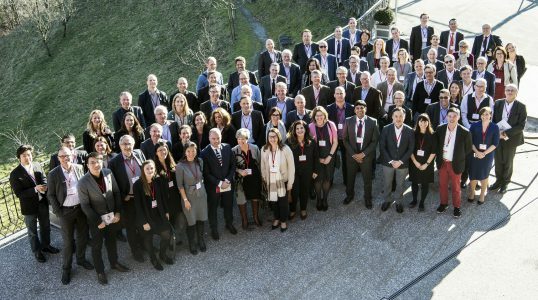 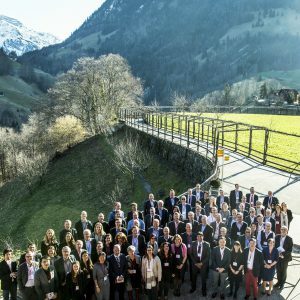 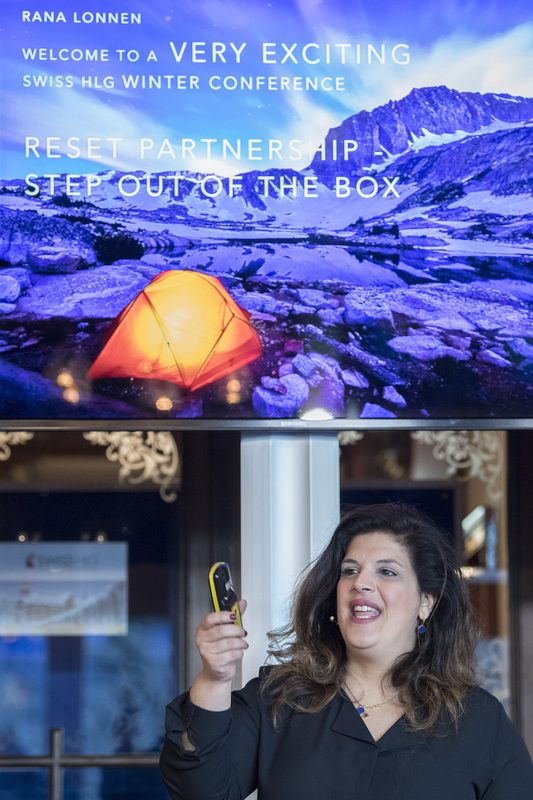 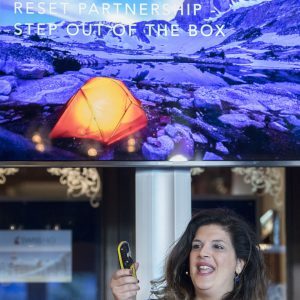 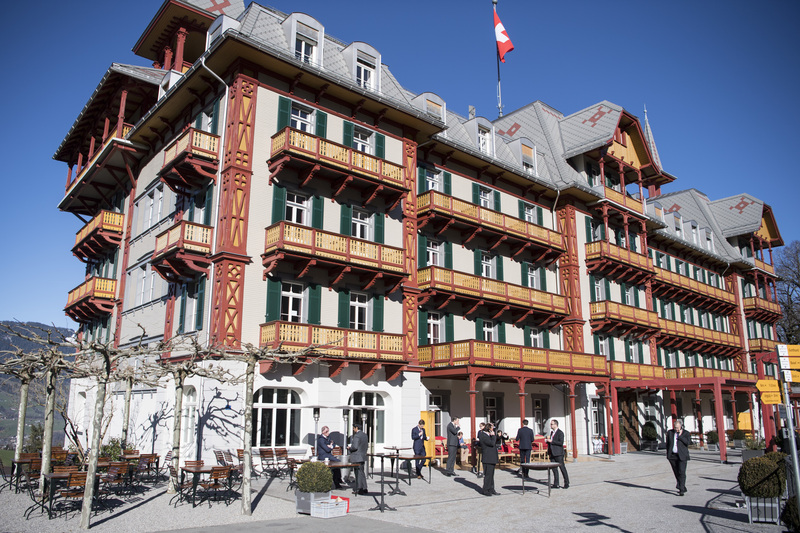 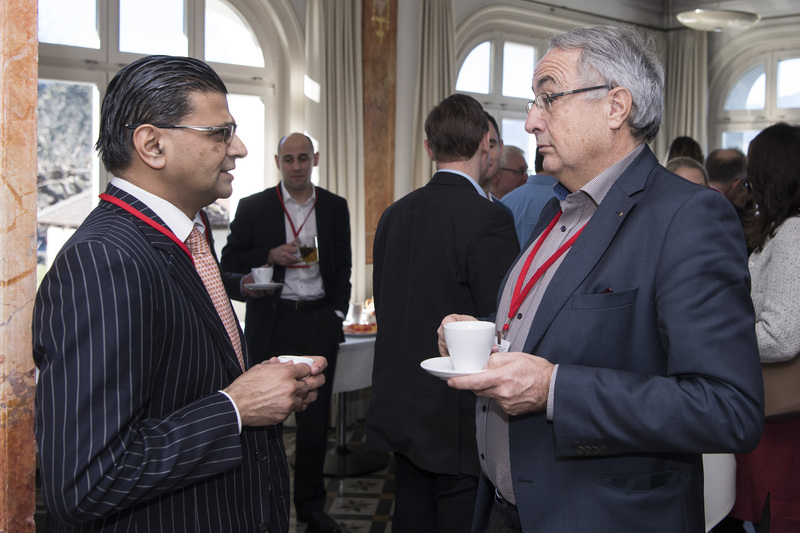 Basel, 16th February 2018 – The Swiss HLG, a non-profit association of Business Development and Licensing professionals, held its 27th Conference titled “ Reset Partnering – Step out of the Box!” With partnering deals increasing in complexity, the evolution from pharmaceuticals to solutions and the consumerization of healthcare, Business Development, and Licensing professionals need to ask themselves if the tools and approaches used are still fit for purpose in the healthcare world of 2018. 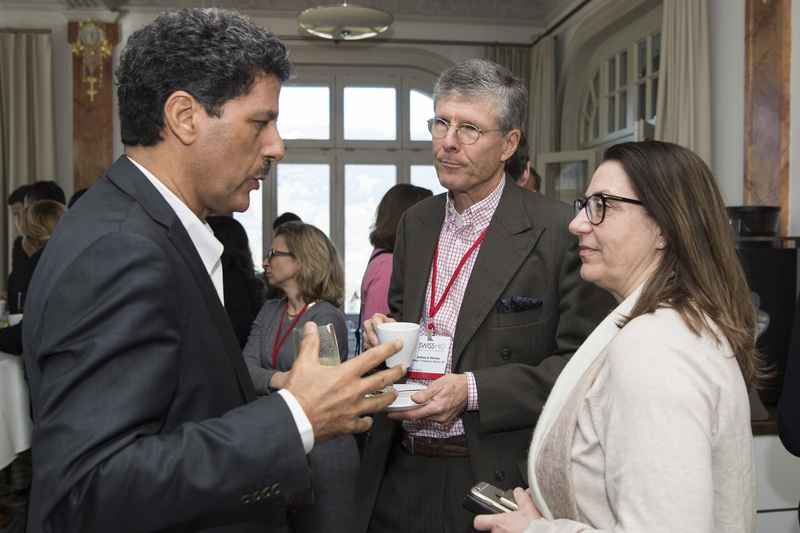 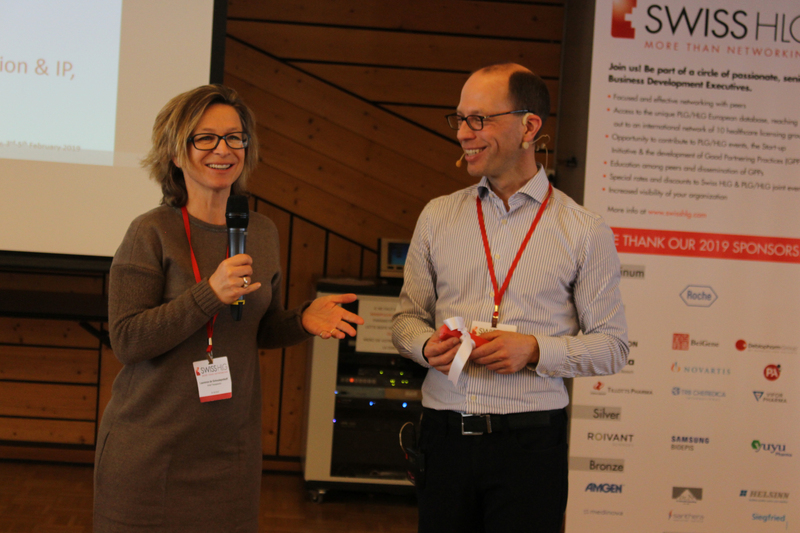 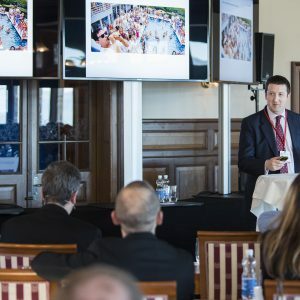 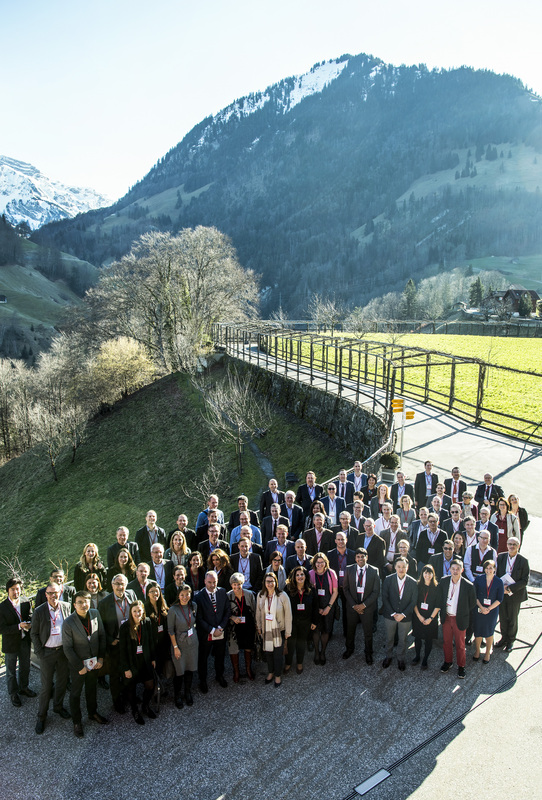 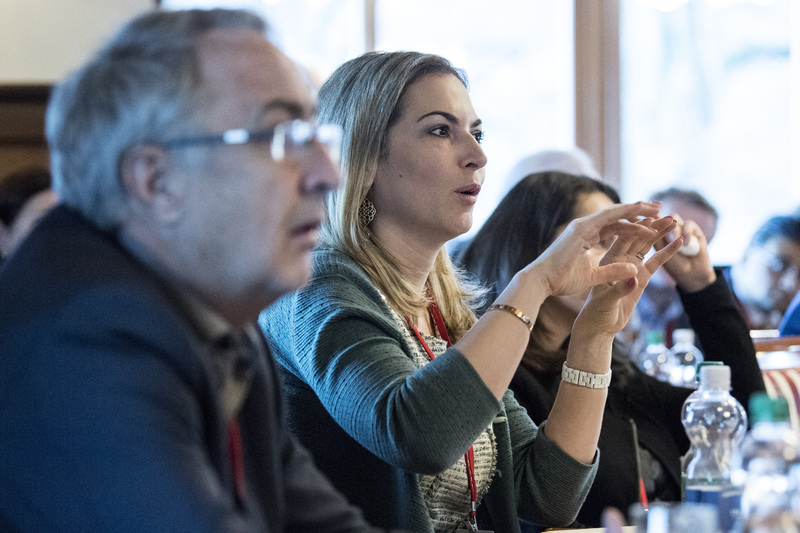 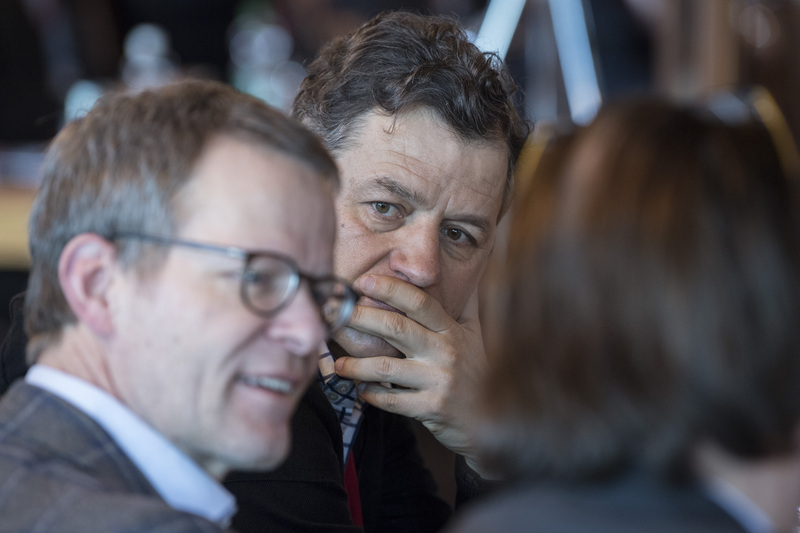 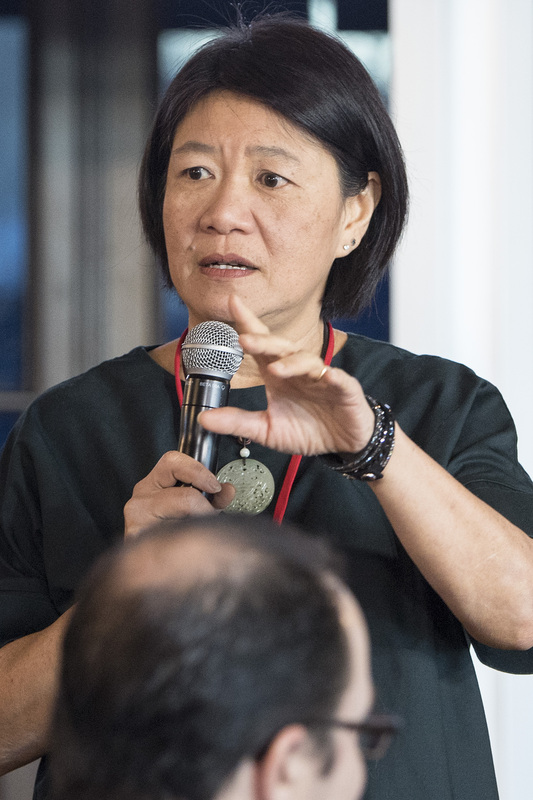 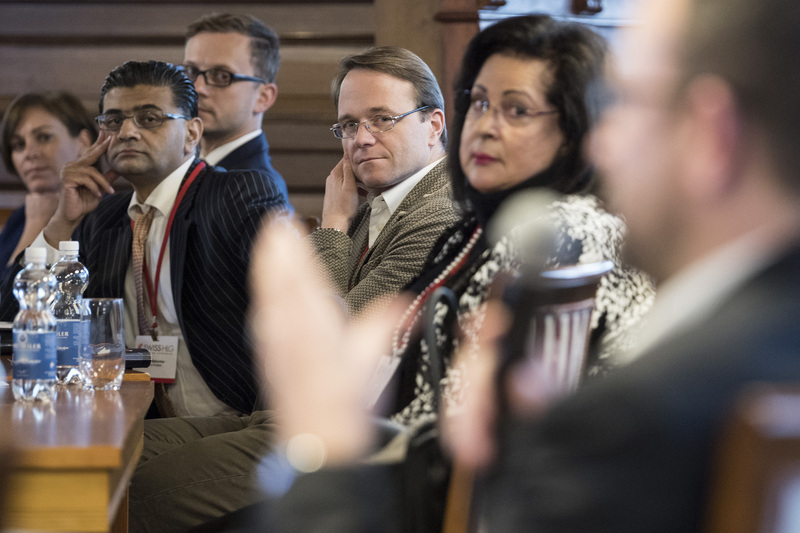 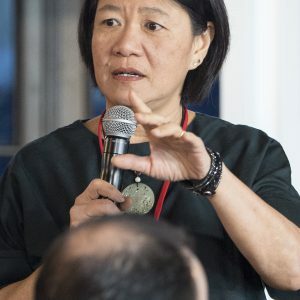 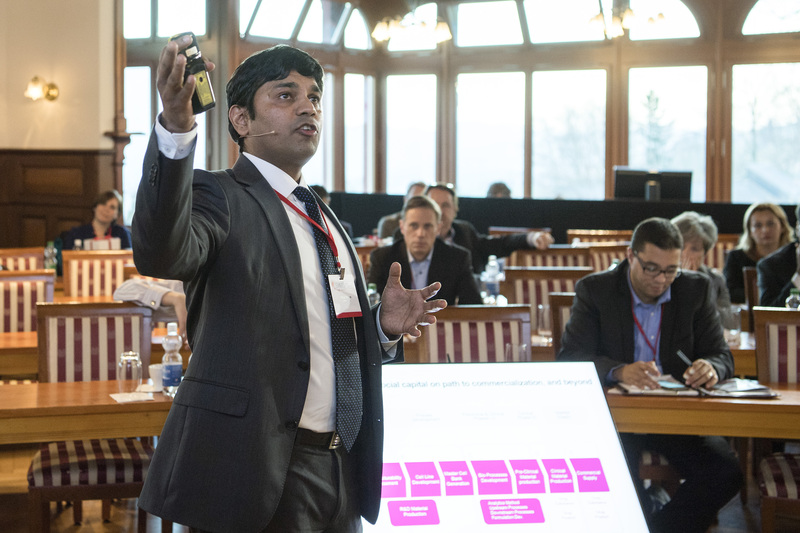 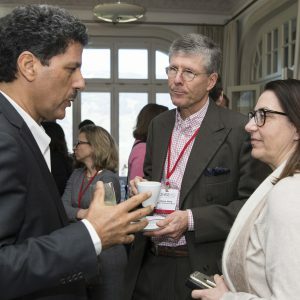 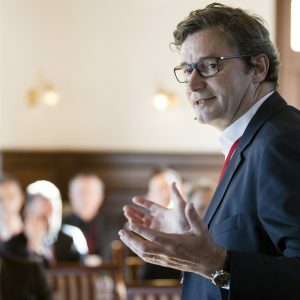 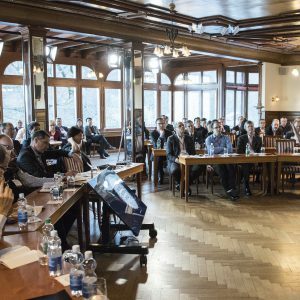 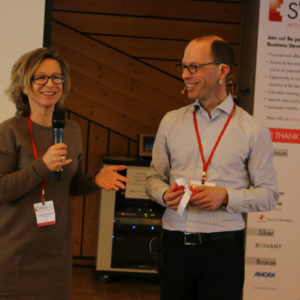 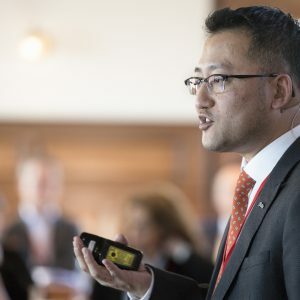 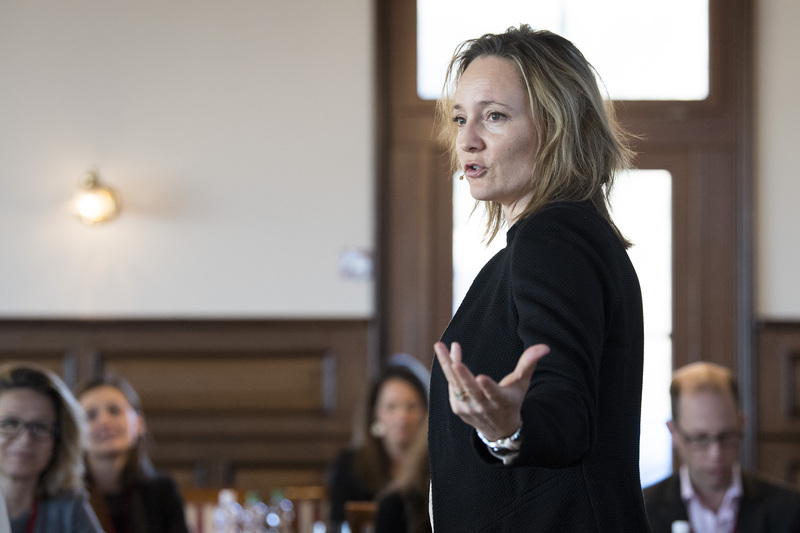 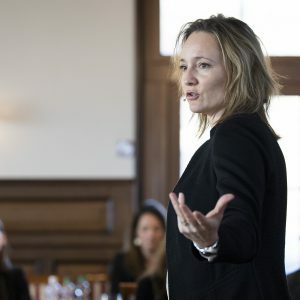 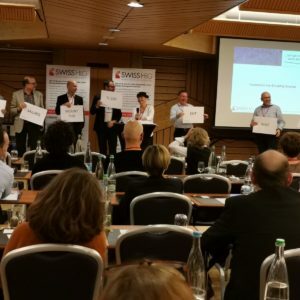 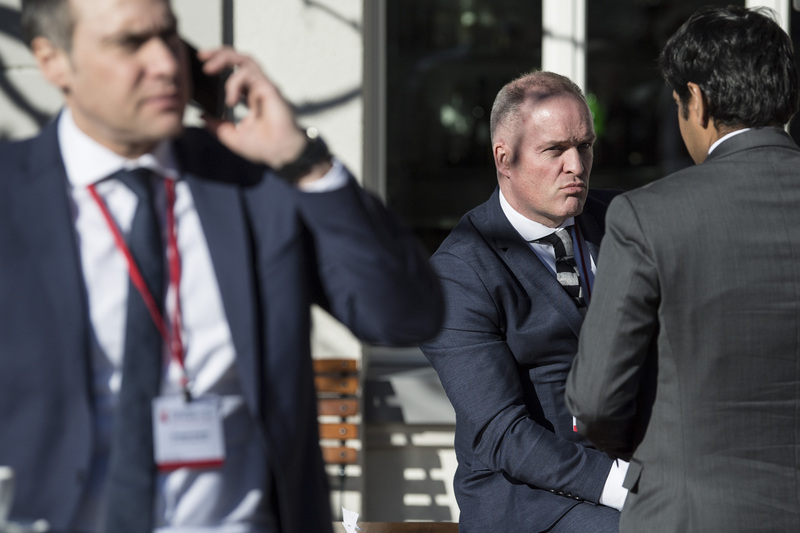 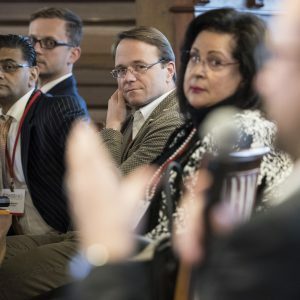 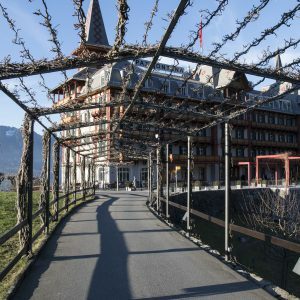 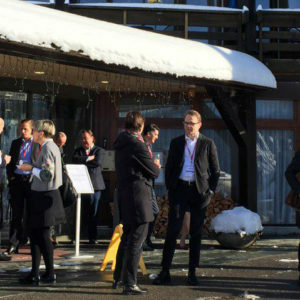 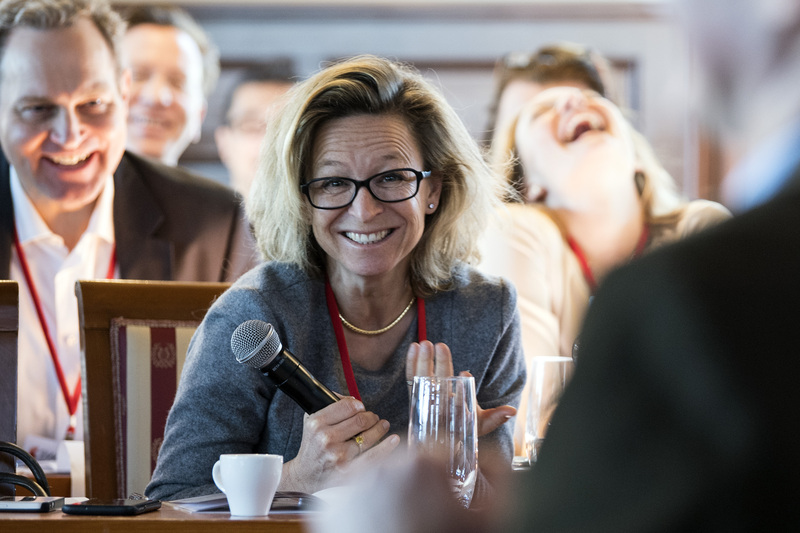 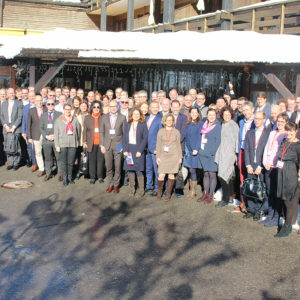 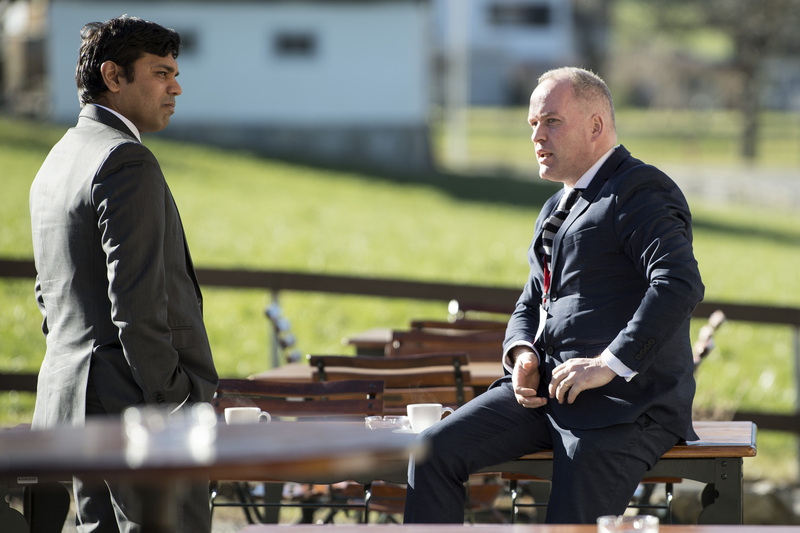 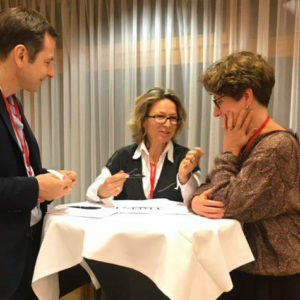 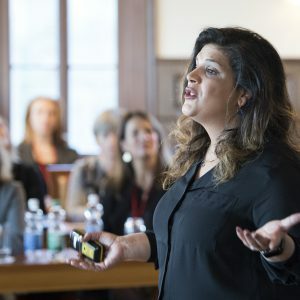 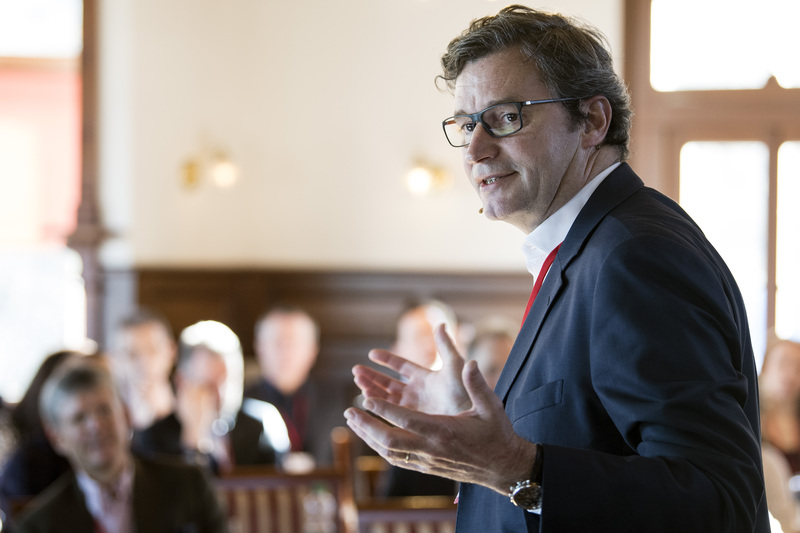 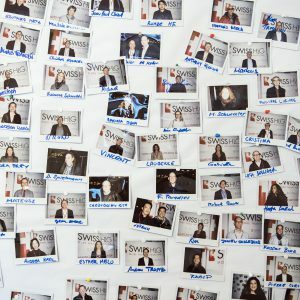 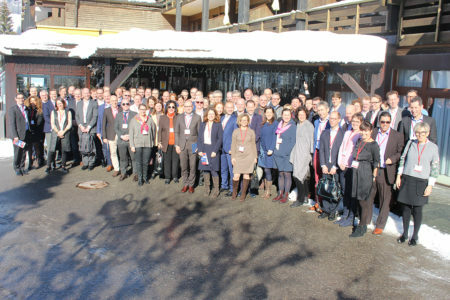 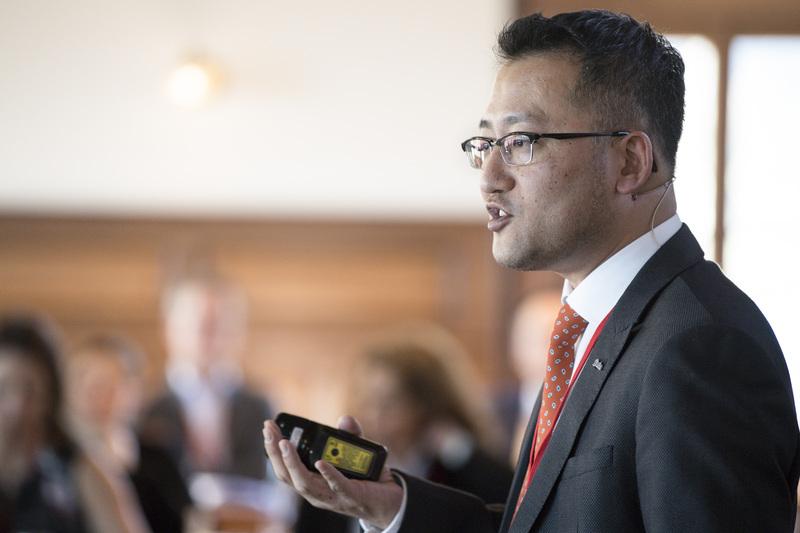 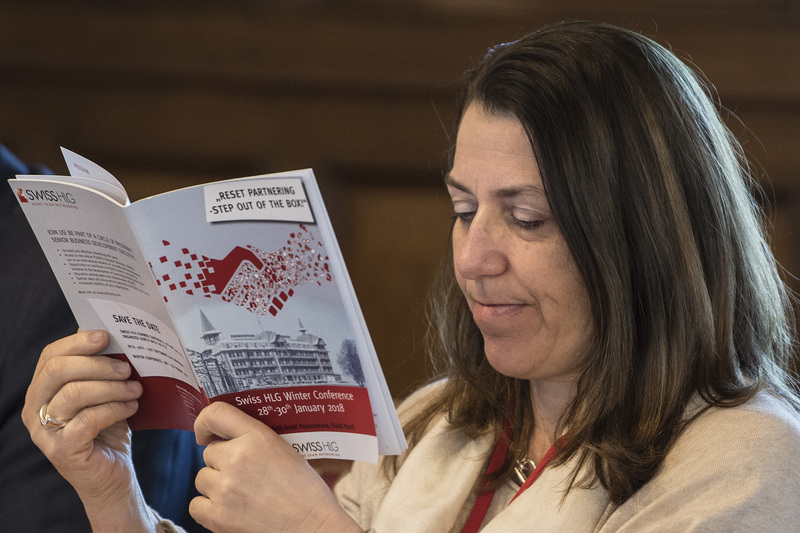 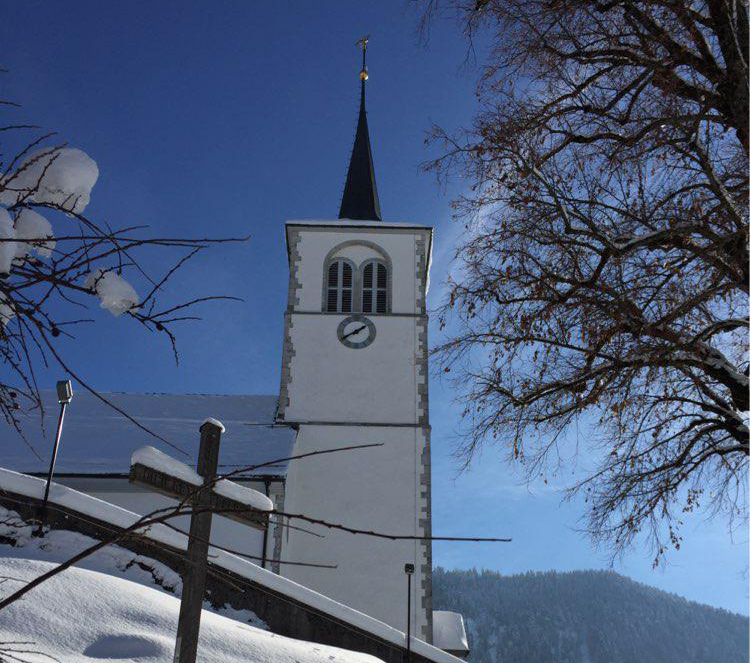 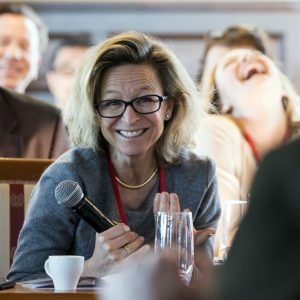 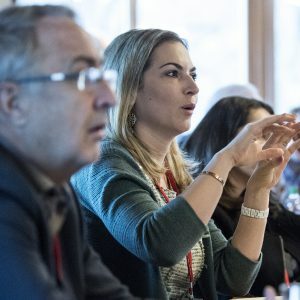 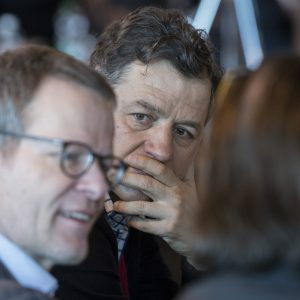 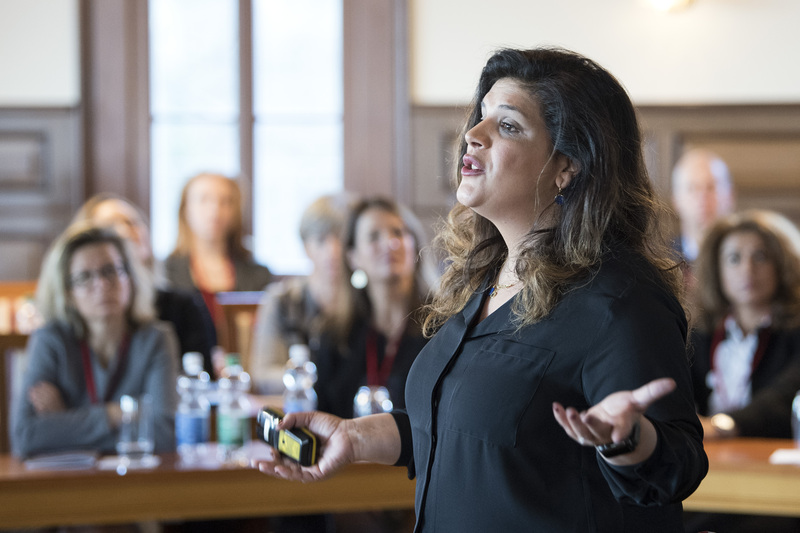 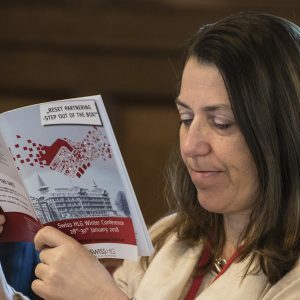 Over three days, more than 100 delegates from Switzerland, Europe, the US and Asia gathered in the Swiss Alps to explore and exchange on the future of partnering and to take a step out of the Box. 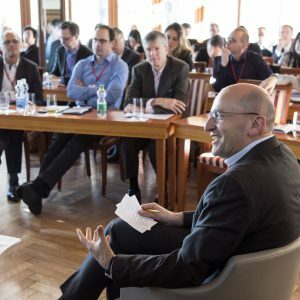 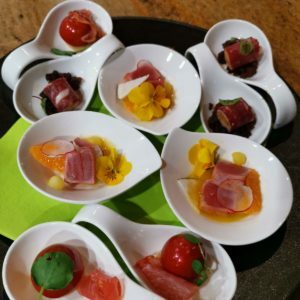 How can we find the right deal for a specific question? 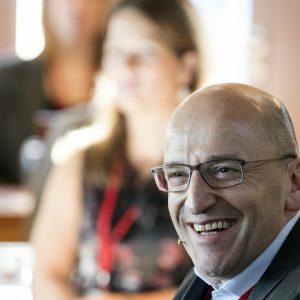 What is required to partner beyond the molecule? 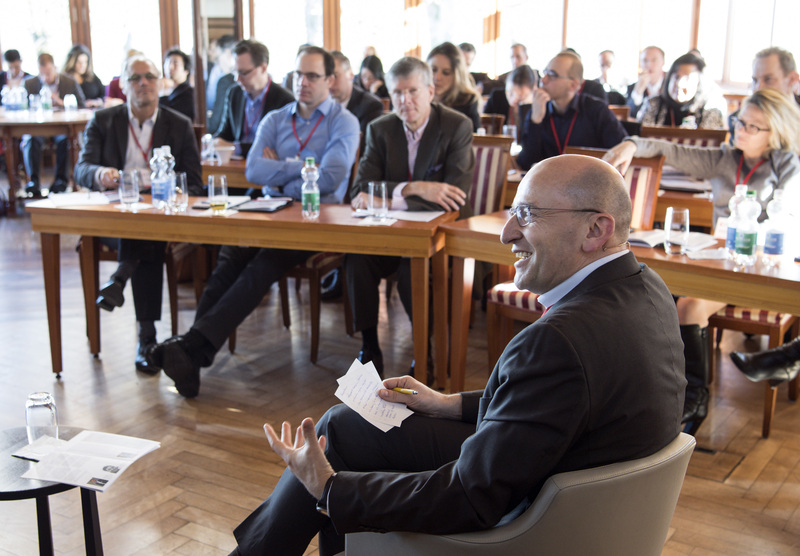 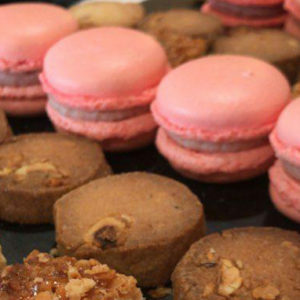 Are there any new approaches we can learn from the consumer industry? 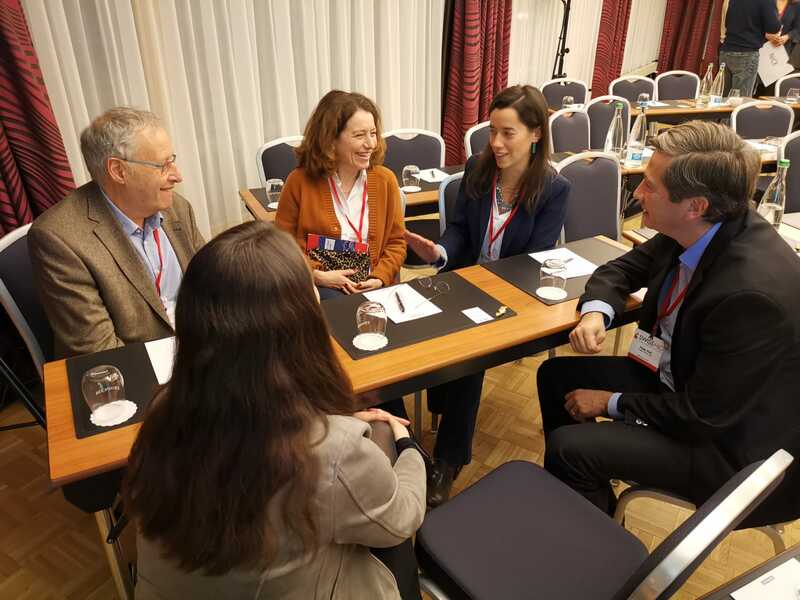 Before the start of the conference, Anthony A. Hörning, CEO of Strategic Transactions Advisor and former head of Alliance Management at Novartis led a dynamic and interactive workshop helping participants to understand “What happens after marriage – managing complex alliances”. 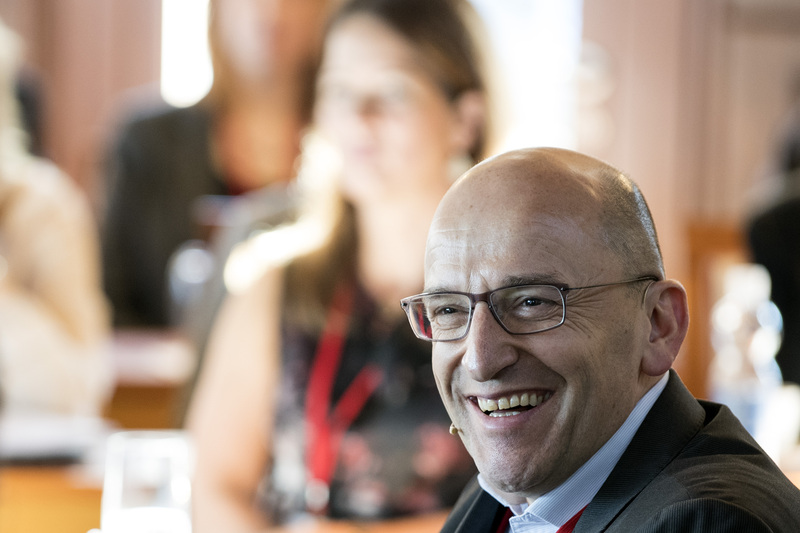 As an introduction, Jean-Paul Clozel, CEO of Idorsia and former CEO of Actelion, brilliantly set the stage with his thought-provoking keynote speech on his company has been acquired by Johnson & Johnson, despite not willing himself to sell it. 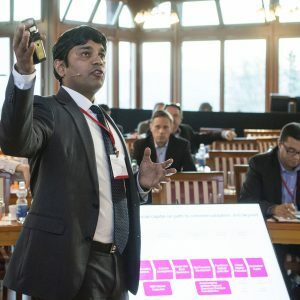 He brought the audience to think on how the relationship and trust dimension were important to make such a transaction a success. 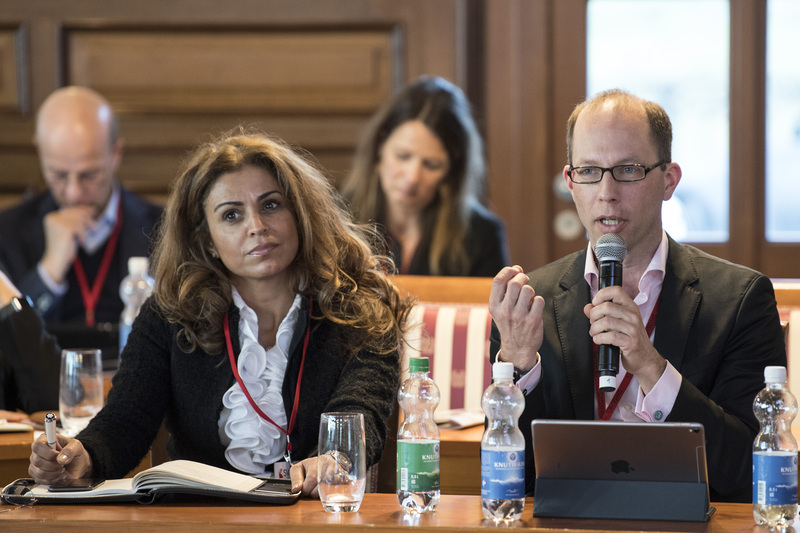 Francesco De Rubertis, CEO of the Medicxi Venture Fund expanded on Clozel’s thoughts with the view from the VC’s perspective and explained how entrepreneurialism and venture capital could go hand in hand. 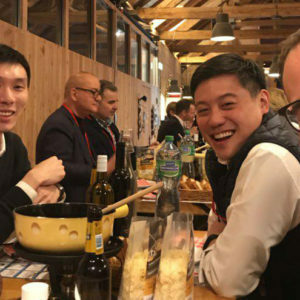 He shared his opinion as VC vs JP Clozel vision as an entrepreneur. 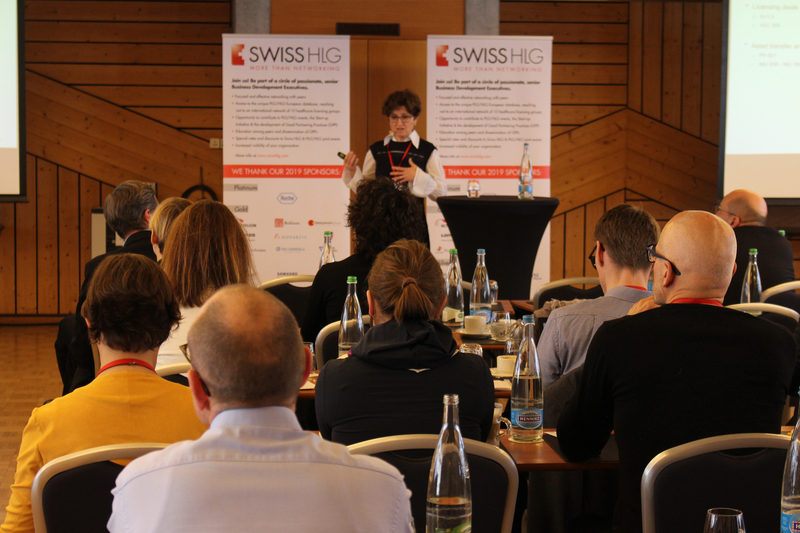 One of the Swiss HLG objectives is not just professional but also personal development, and hence Design Thinking Master, Rana Lonnen, Head Search and Evaluation Strategic Venture Capital at Novartis Pharma opened the day on Monday exploring how design thinking approaches can be leveraged in a partnering setting. 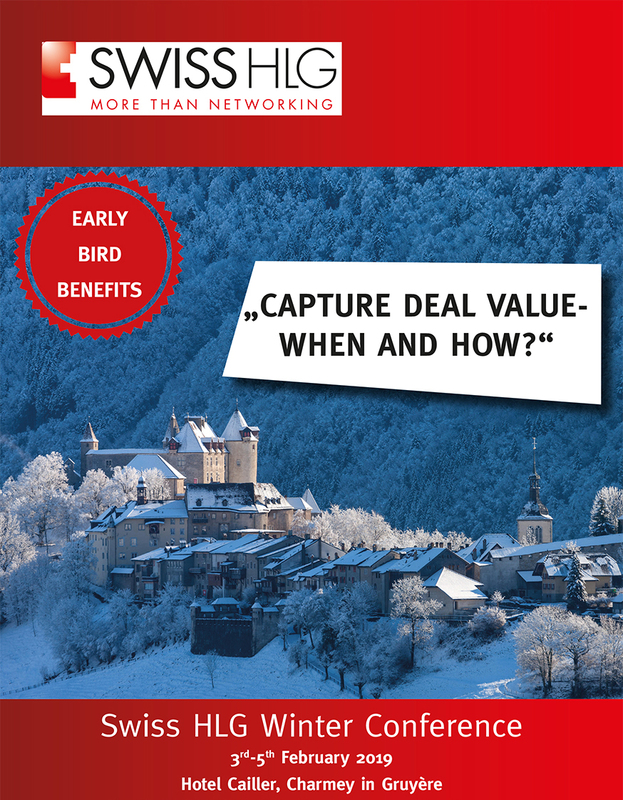 Six captivating presentations illustrated then what, along with the partnering process, is required to find the right deal. 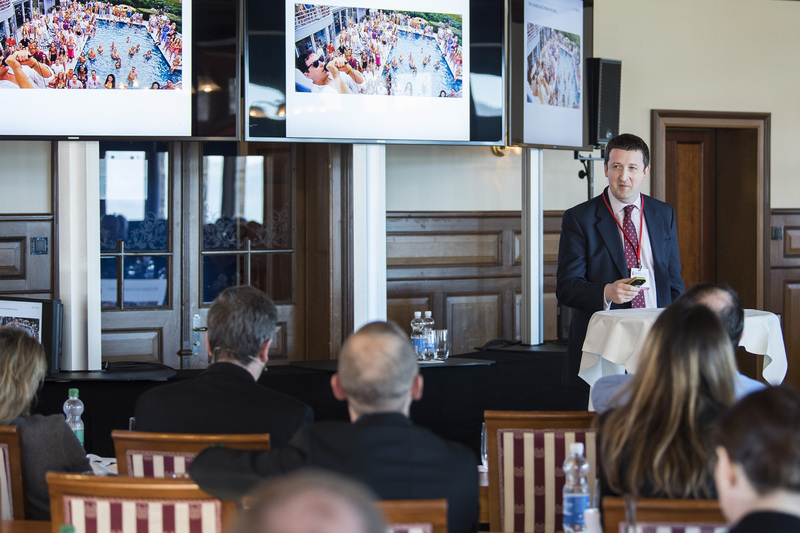 Alan Selby, Executive Director at Torreya Partners, shared his thoughts on when to use a broker or not. 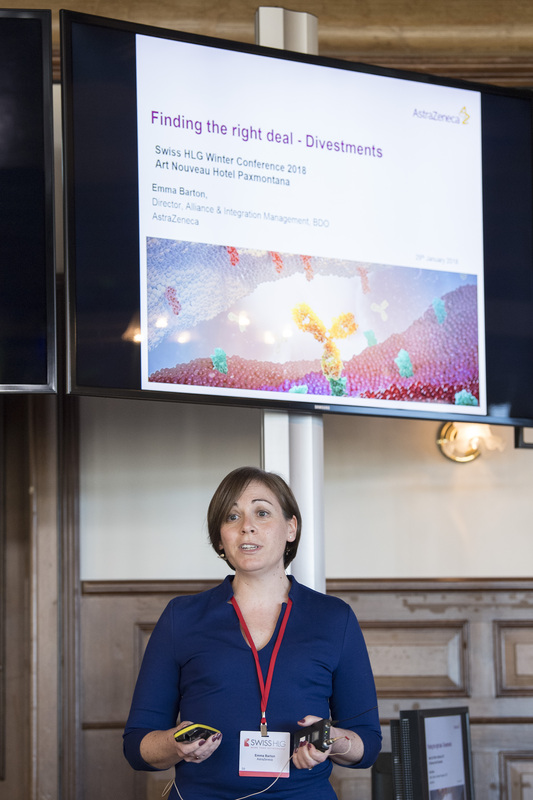 Emma Barton, Director Alliance, and Integration Management at AstraZeneca explained how Outlicensing can preserve the value of a molecule. 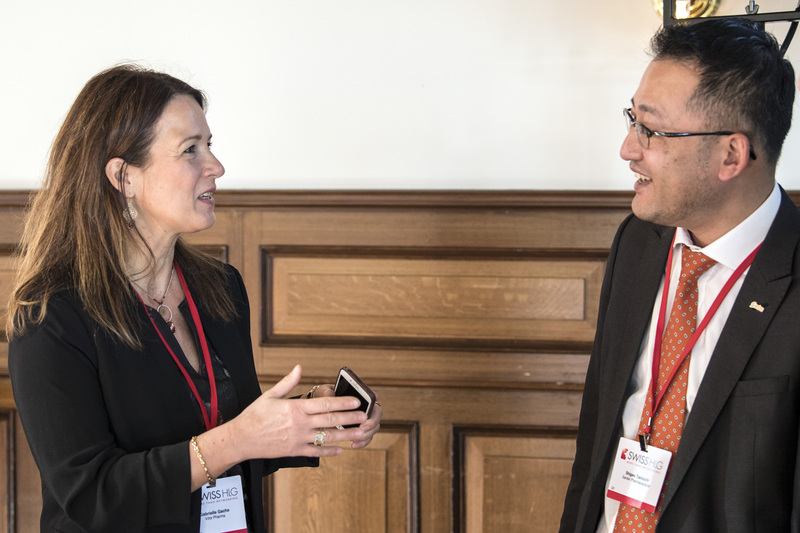 Shigeo Taniuchi, Head of EMEA, Senior Corporate officer at Santen Pharmaceutical and Viren Mahurkar, formerly at Alcon took a look at the cultural dimension of partnerships and what to bear in mind when working with partners in Japan or China. 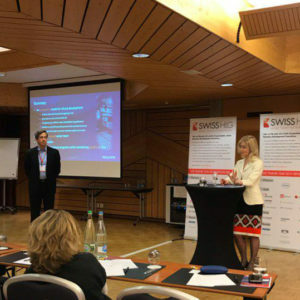 Tanja Dowe, CEO of the Debiopharm Innovation Fund focused on how to find the right deal with a VC fund and last but not least Vikalp Mohan, Vice President Sales and Marketing at Celonic took a look at how to partner with a Contract Development and Manufacturing Organization. 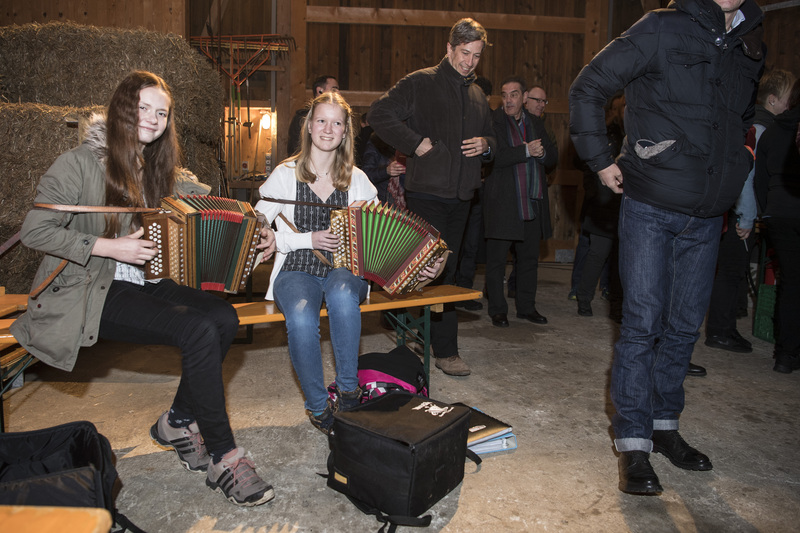 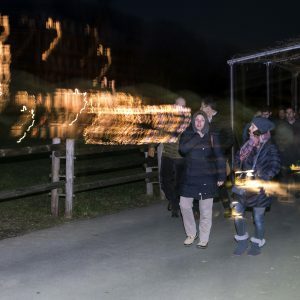 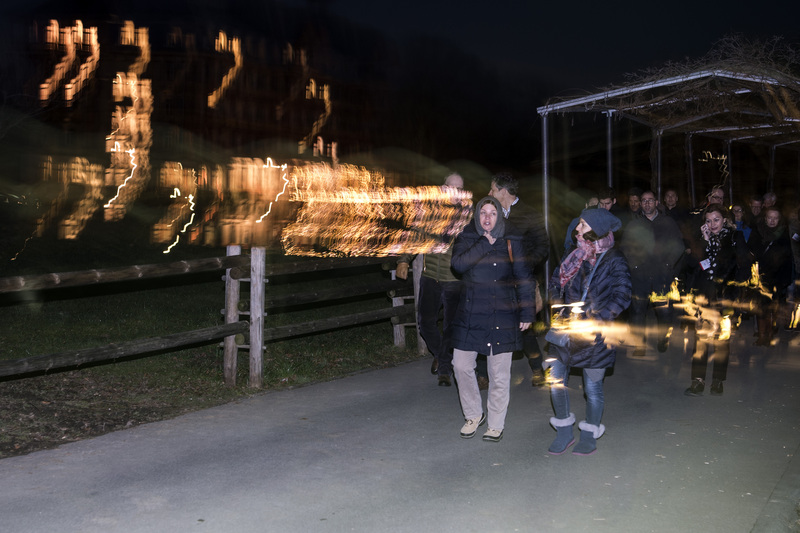 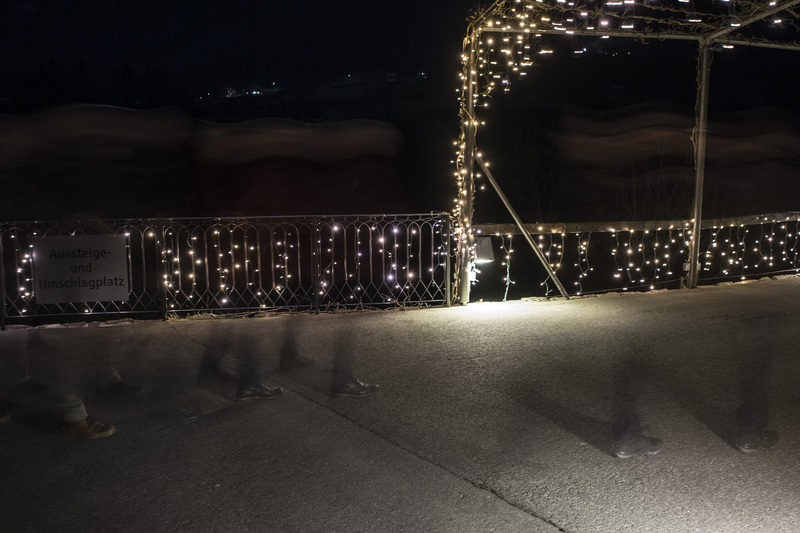 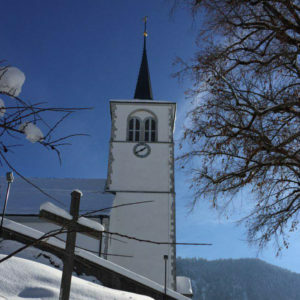 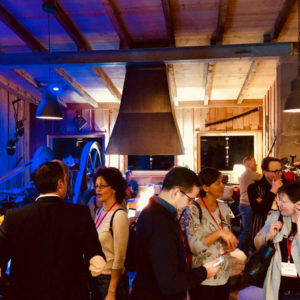 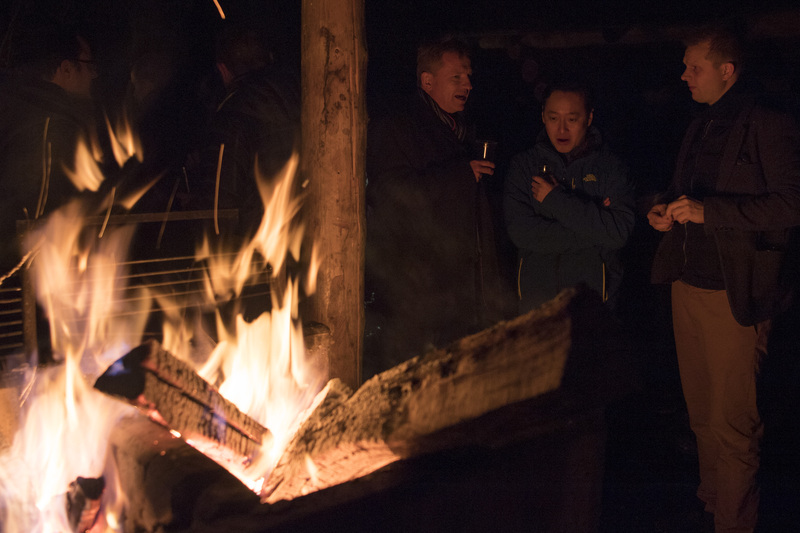 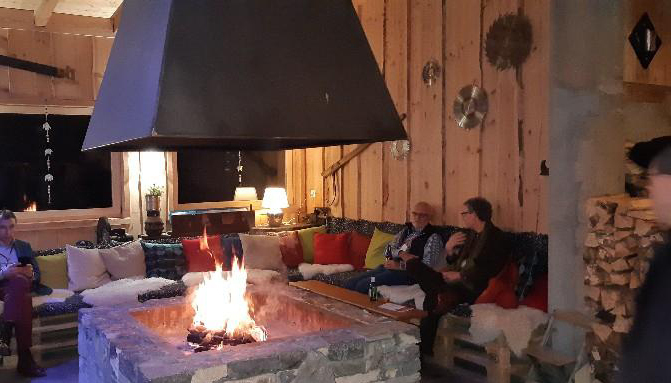 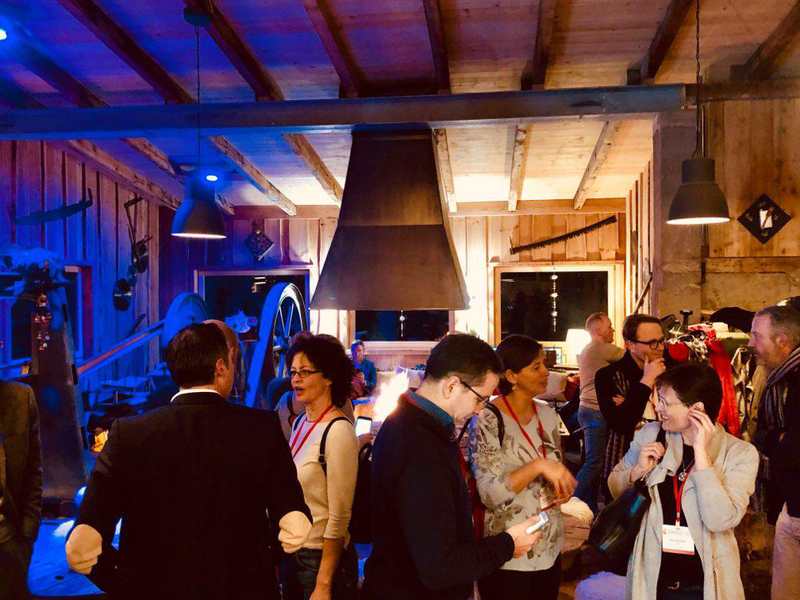 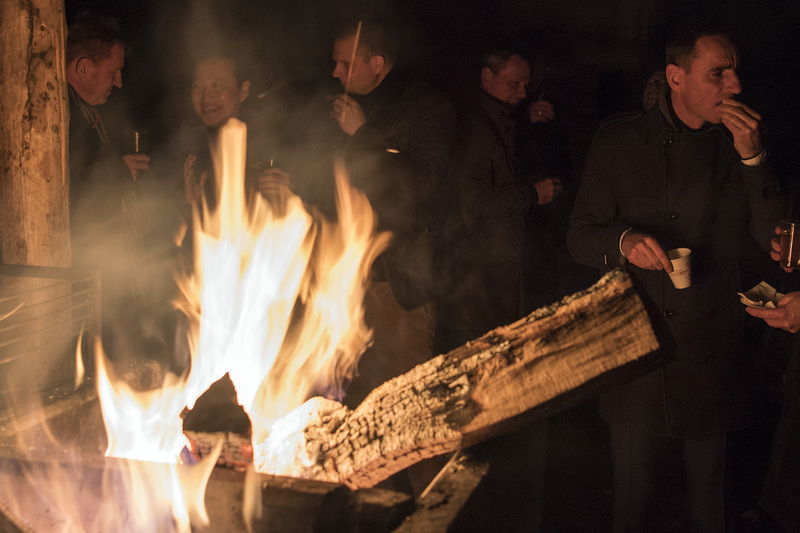 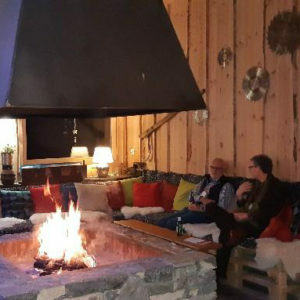 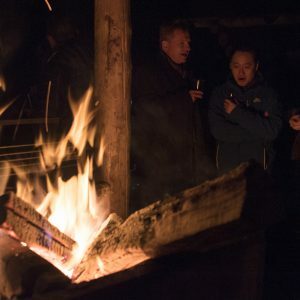 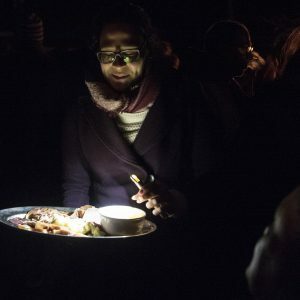 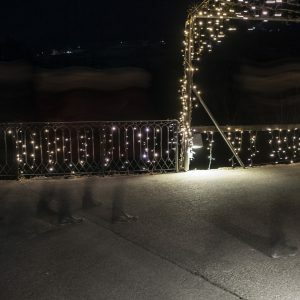 After a full day of presentations, the delegates enjoyed a short walk and typical Swiss Fondue Dinner in a barn and used the opportunity to expand their personal and professional networks. The last day of the conference focused on how to partner beyond the molecules, starting with a case study looking at how to make more out of data by Dr. Alexandra V. Eberhard, Managing Director Europe, and Executive VP Sciences at Signals Analytics. 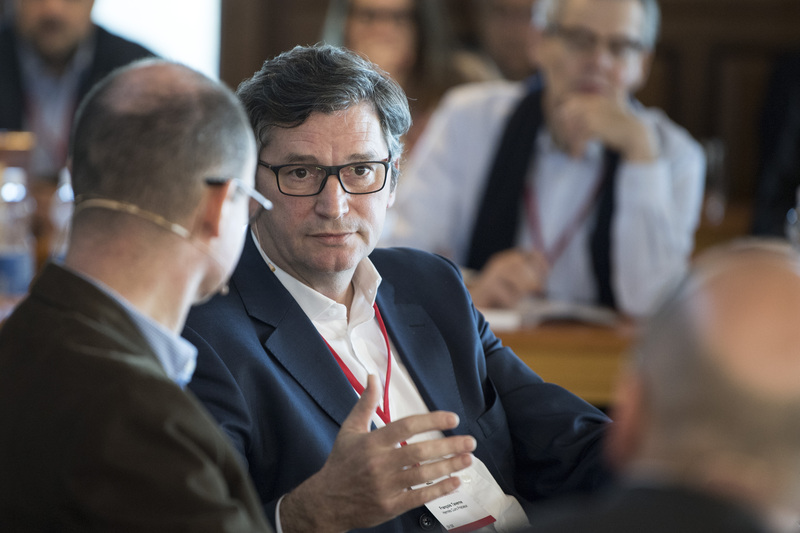 Michael Meissner, Chief Technology Officer, at Sanofi took a look at how technology is becoming increasingly important for pharma and asked the question if pharma in this picture is the boiling frog. 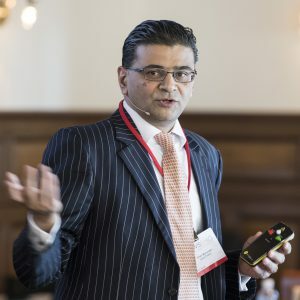 Ravi Sodha, Senior Director, Business Development at Actelion closed this block in sharing his perspectives on what makes deals for rare diseases different. 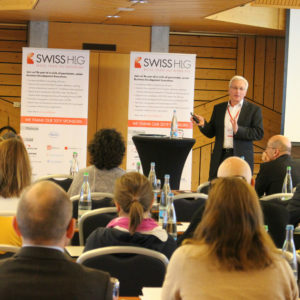 The closing keynote, delivered by Jon Otterstatter, CEO of the Preventice Solutions Group took the audience along the journey of building a highly successful medical technology start-up from scratch to a 500+ employee organization with prominent investors such as Merck Inc or Boston Scientific. 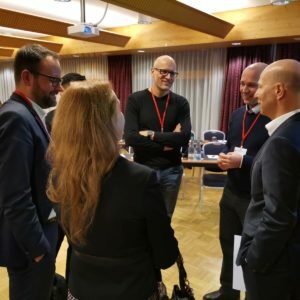 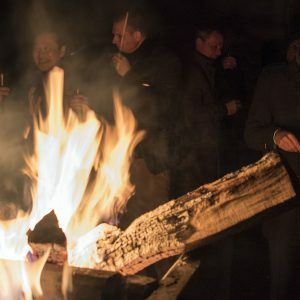 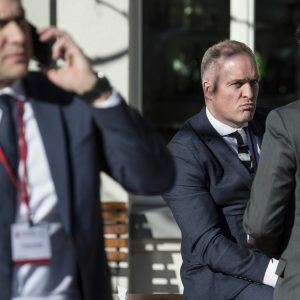 Take a look at some impressions from our Winter Conference 2018. 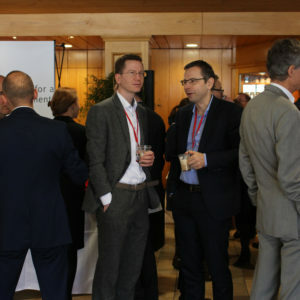 Informative, exciting and a great opportunity to meet and exchange ideas with other Business Development Professionals.